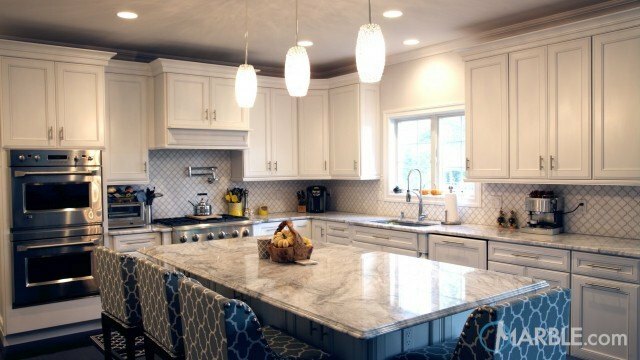 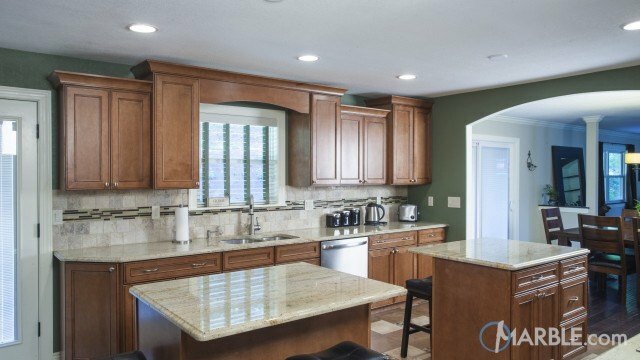 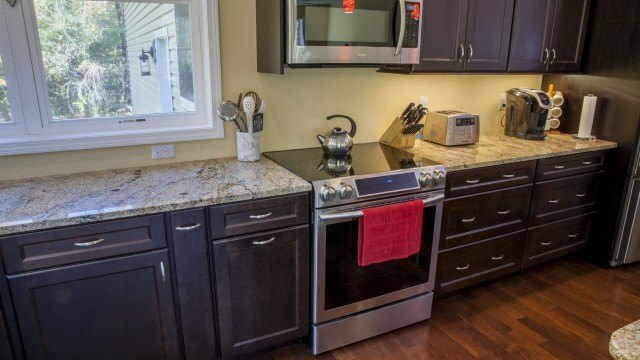 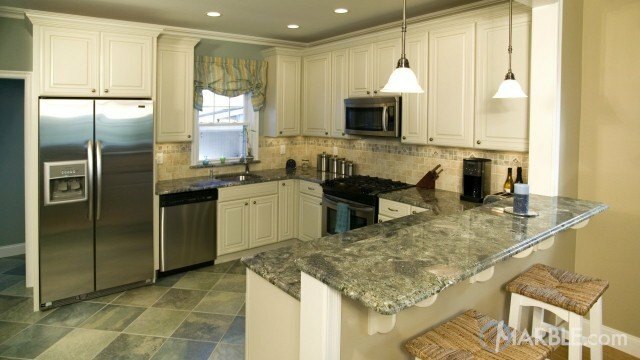 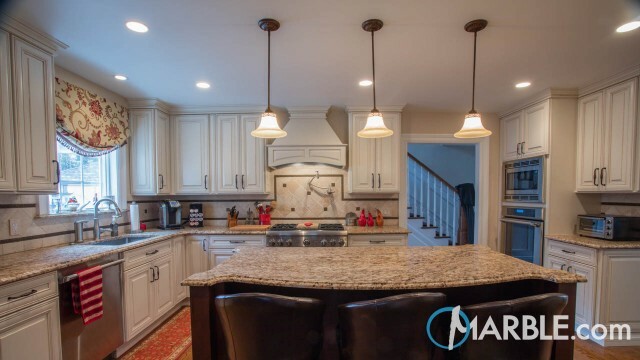 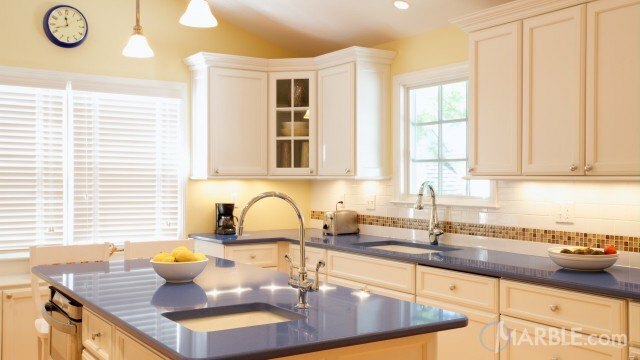 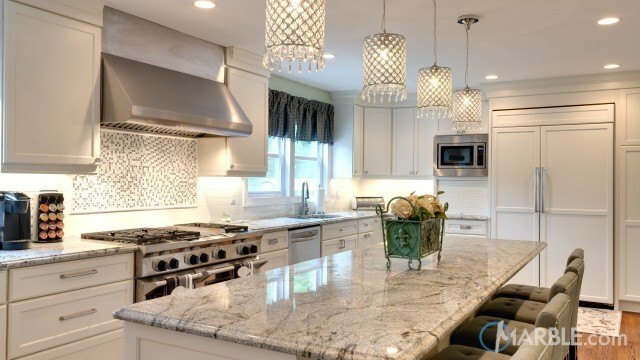 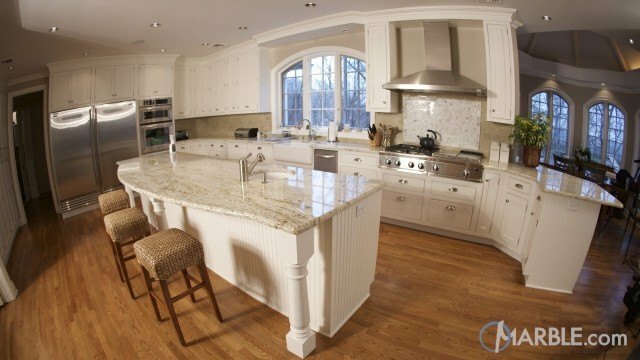 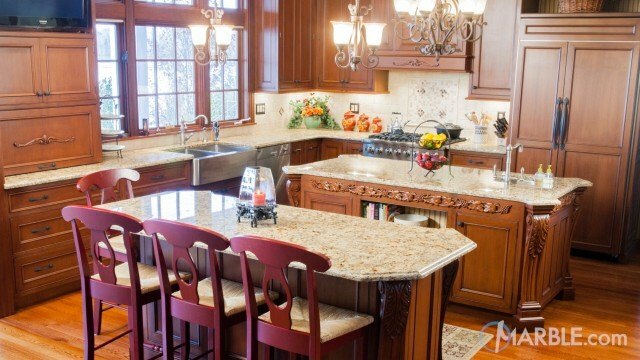 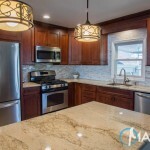 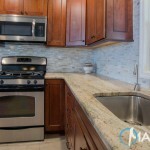 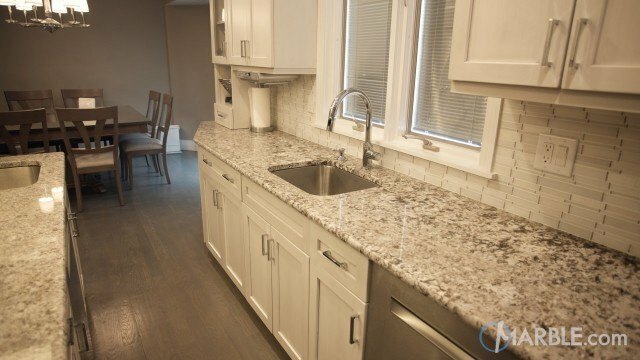 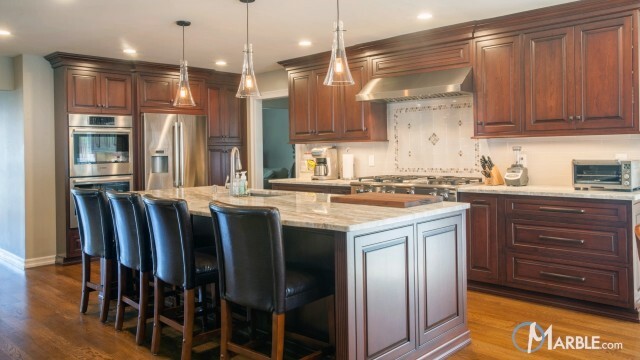 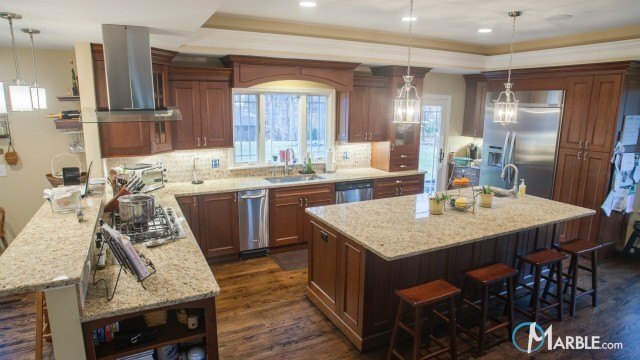 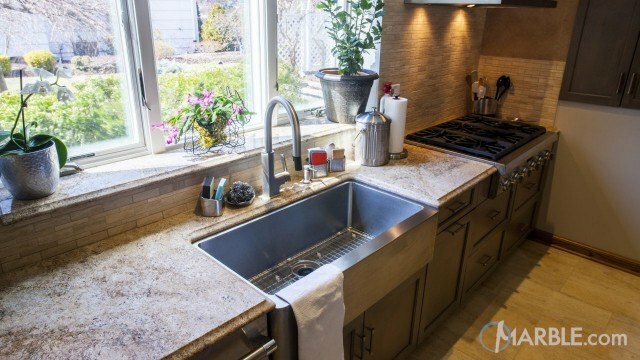 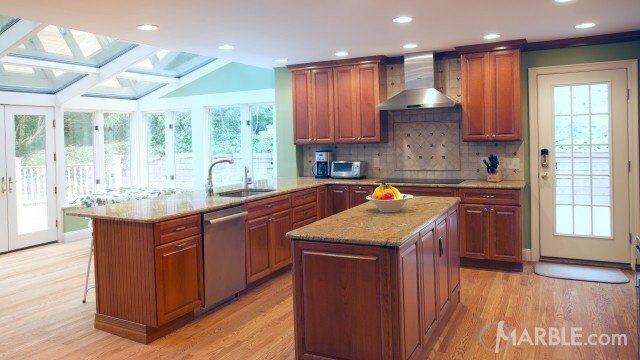 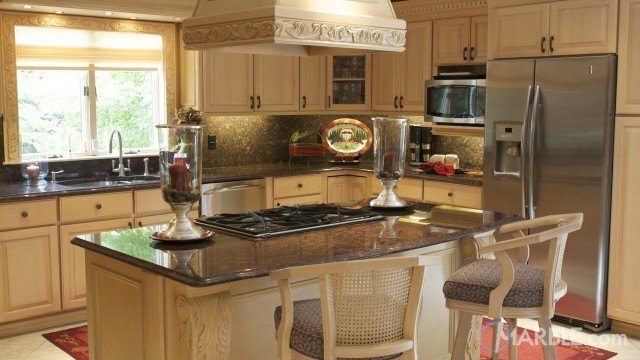 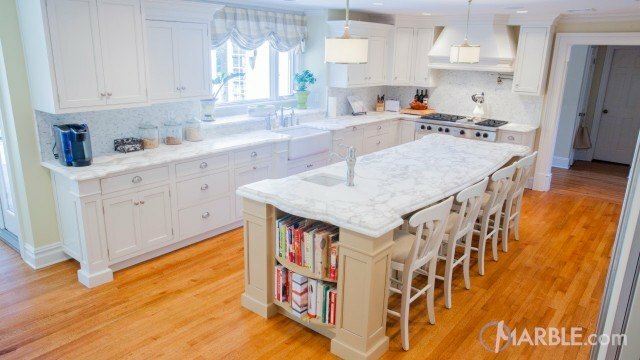 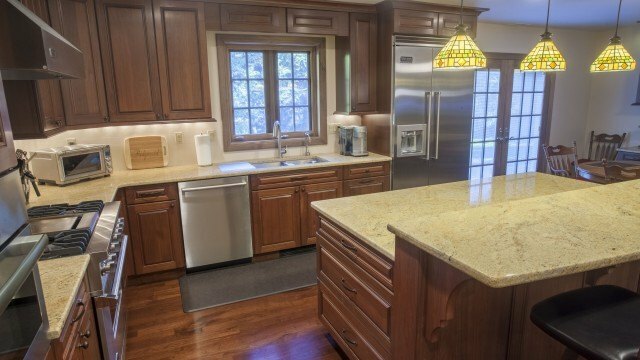 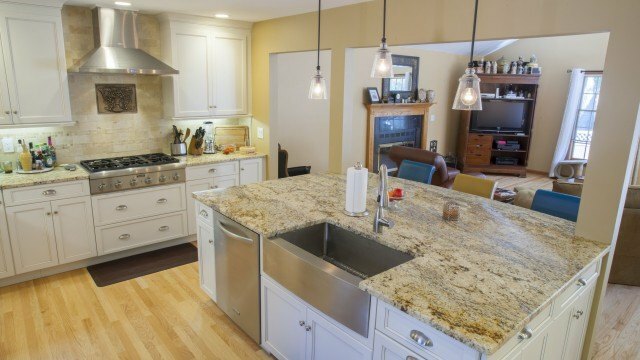 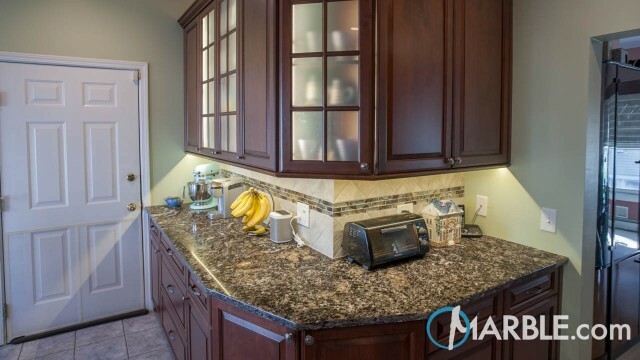 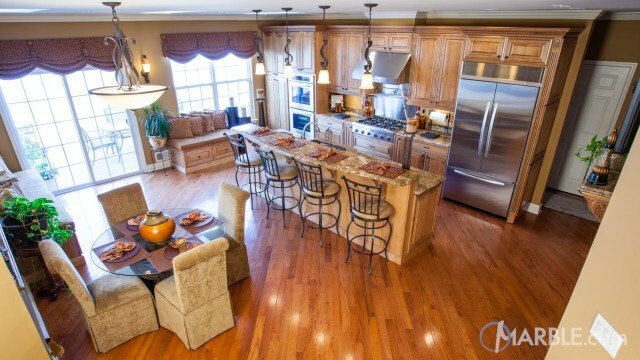 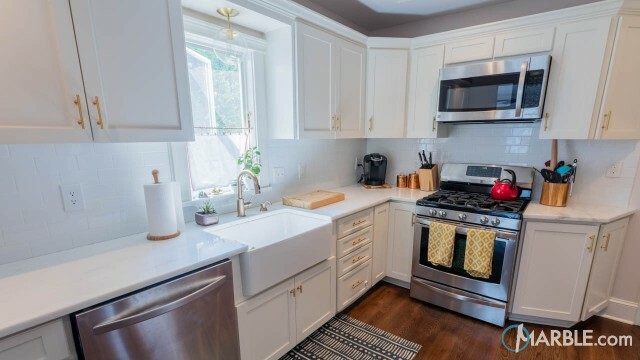 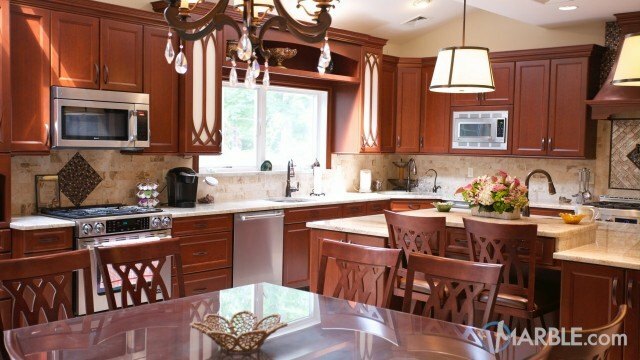 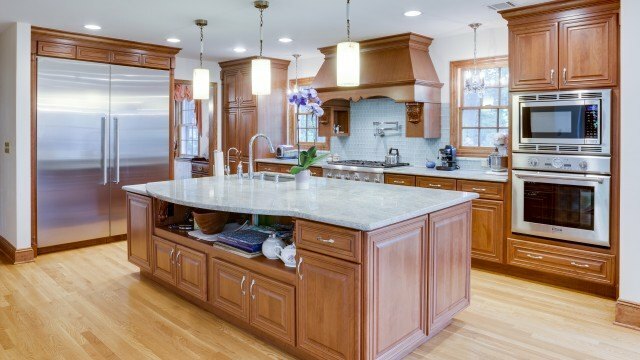 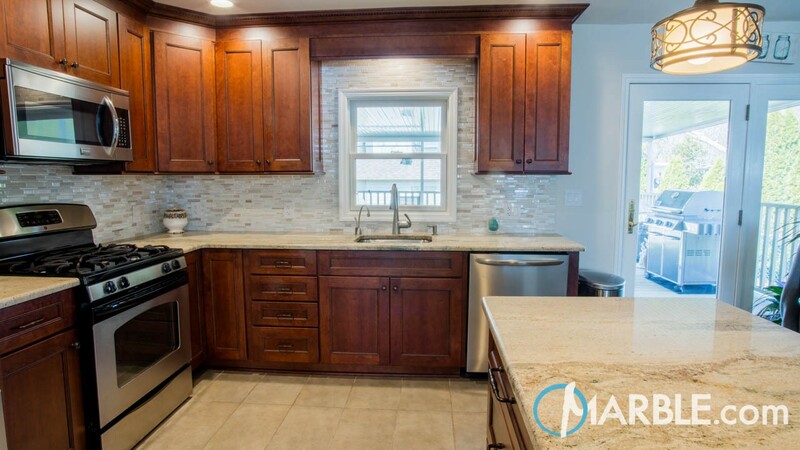 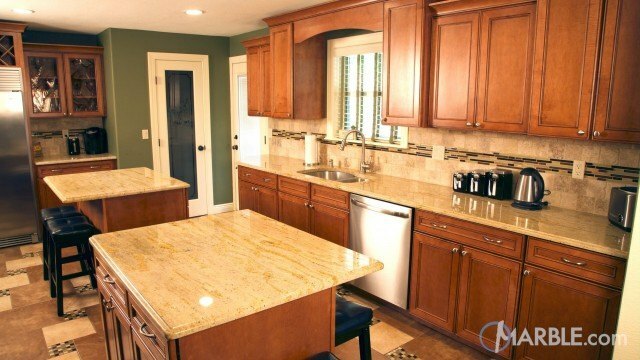 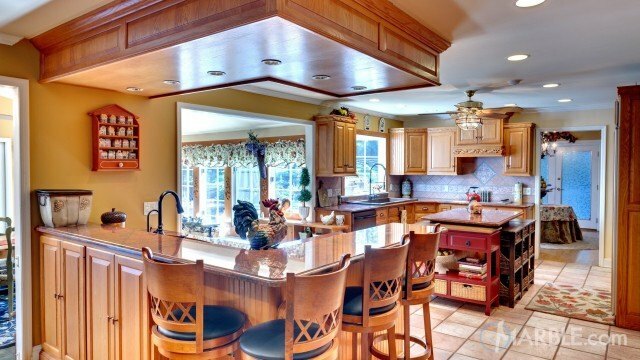 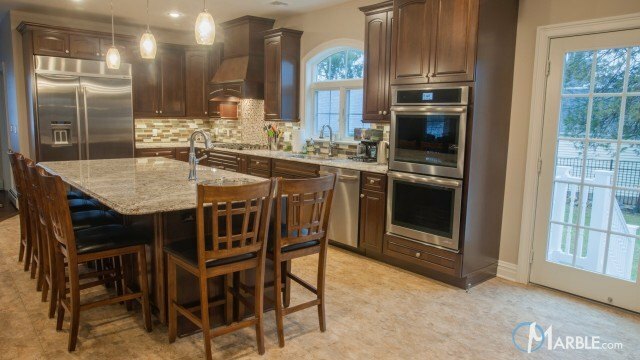 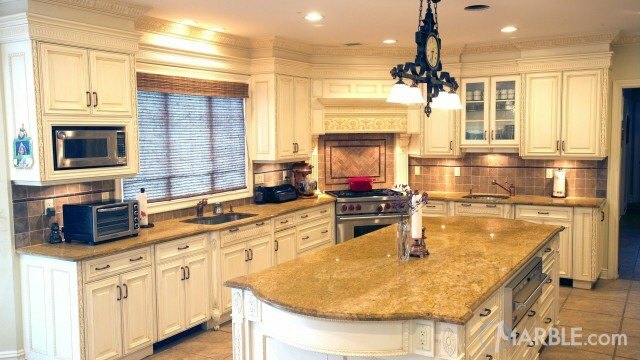 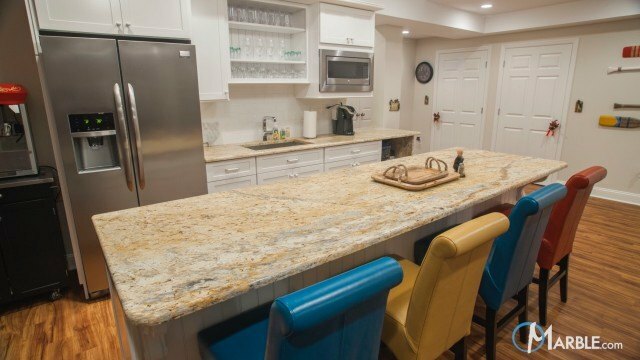 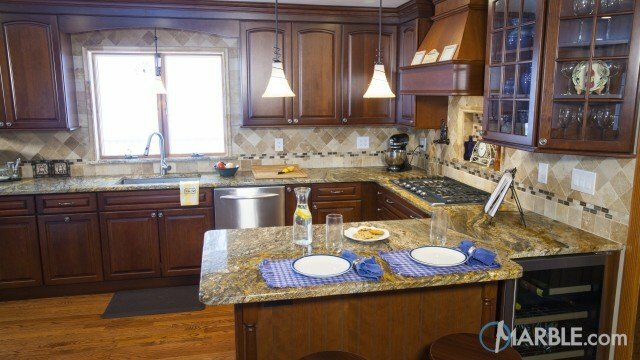 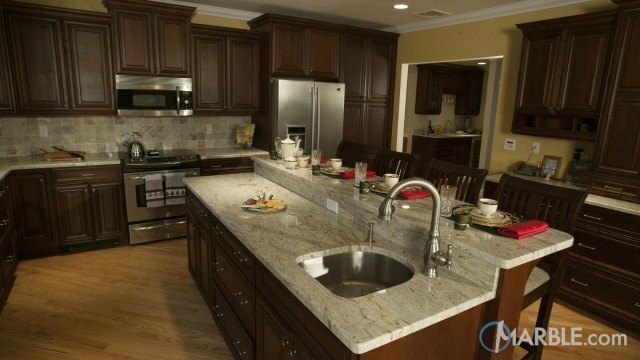 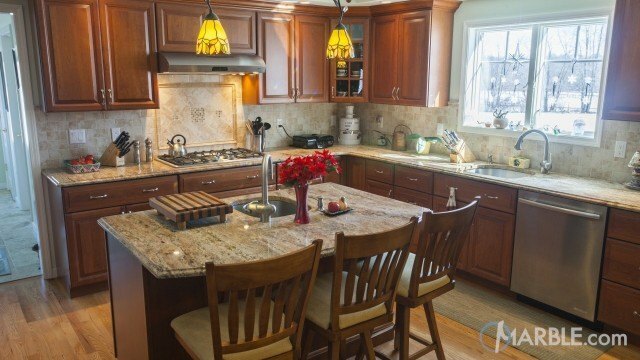 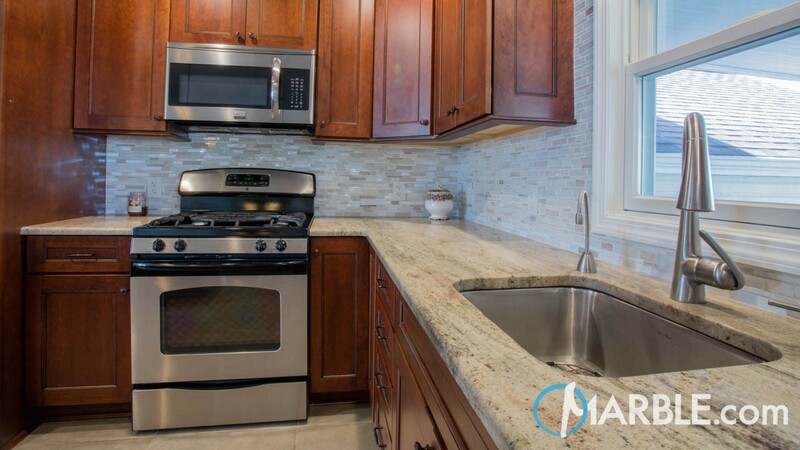 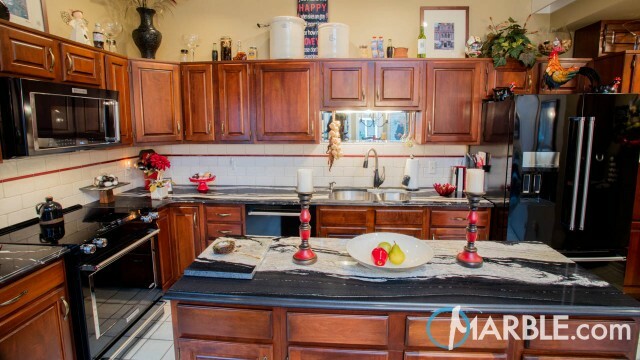 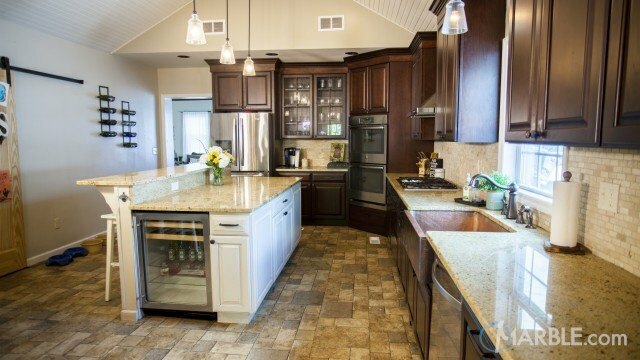 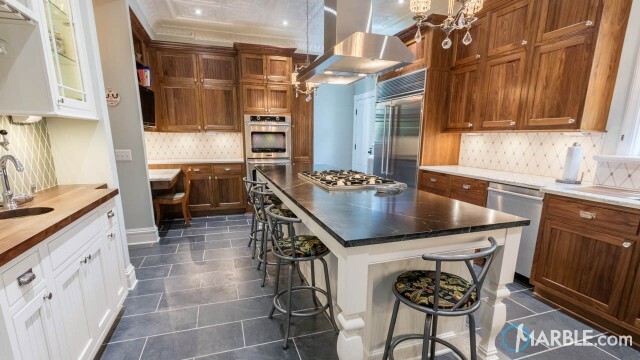 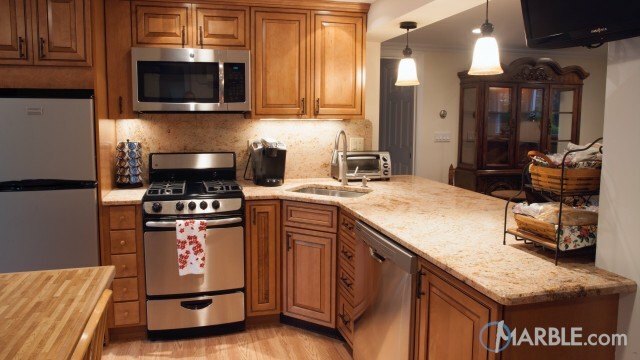 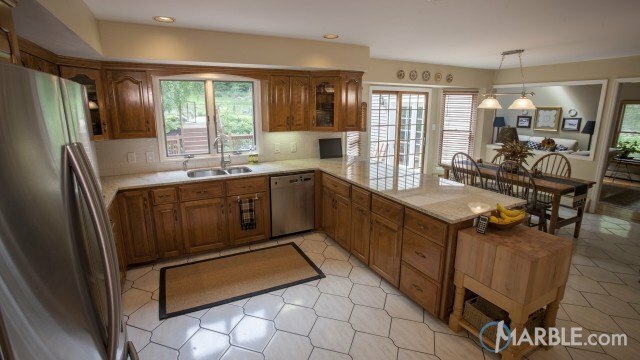 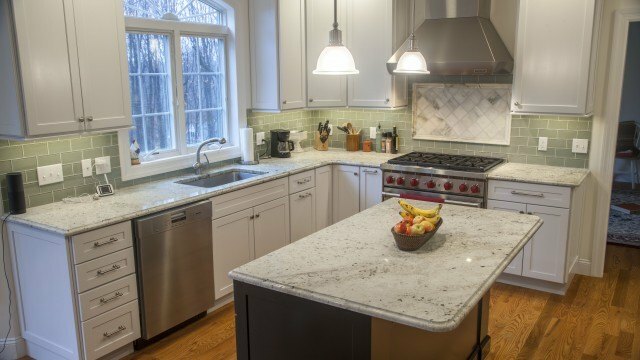 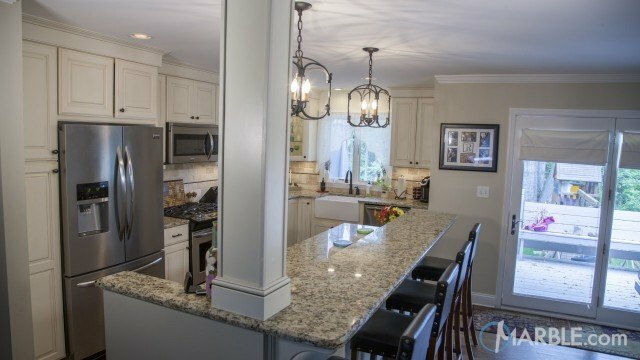 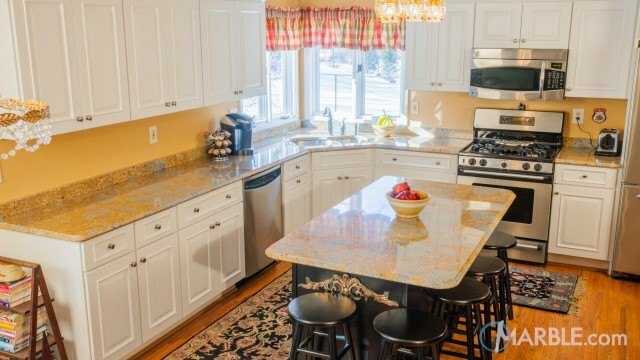 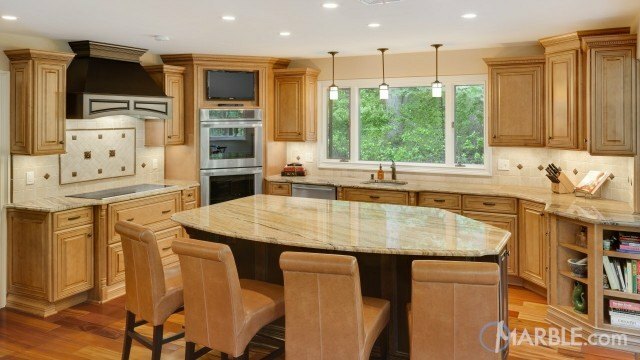 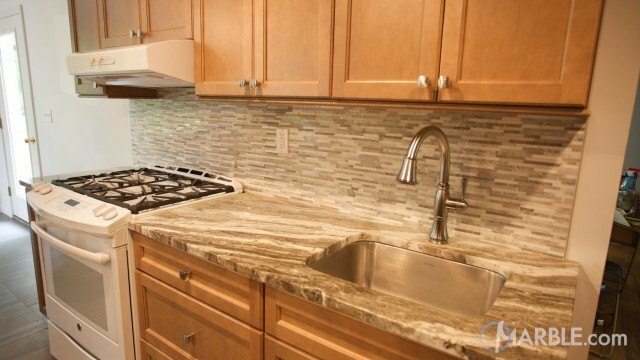 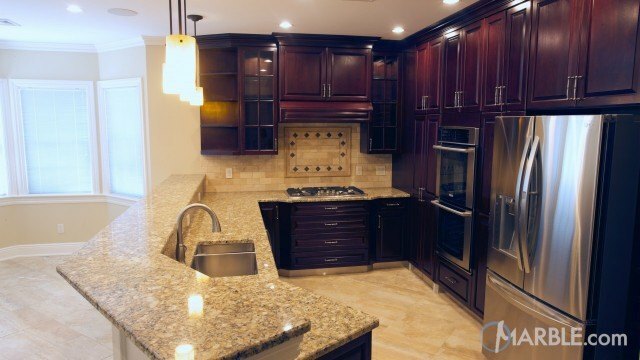 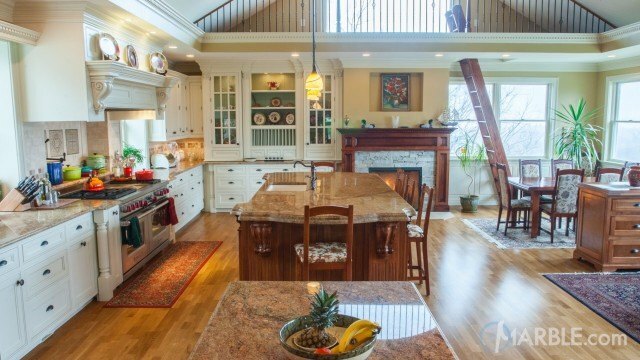 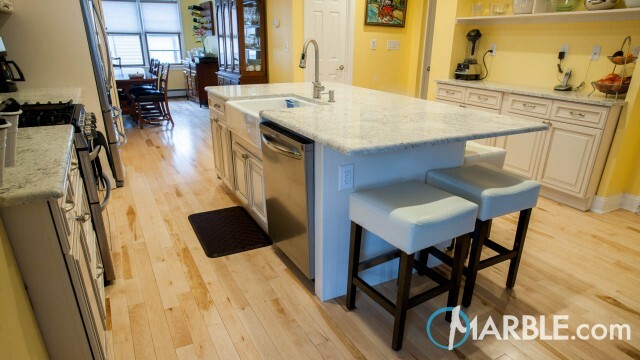 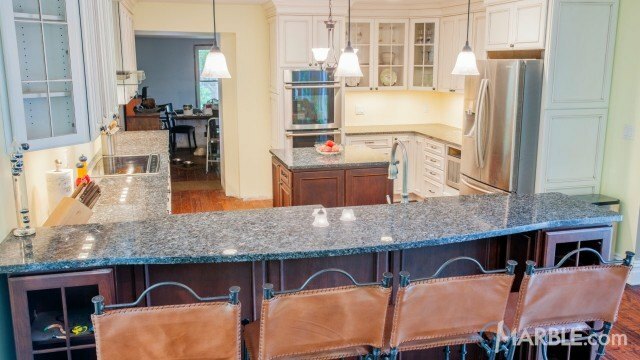 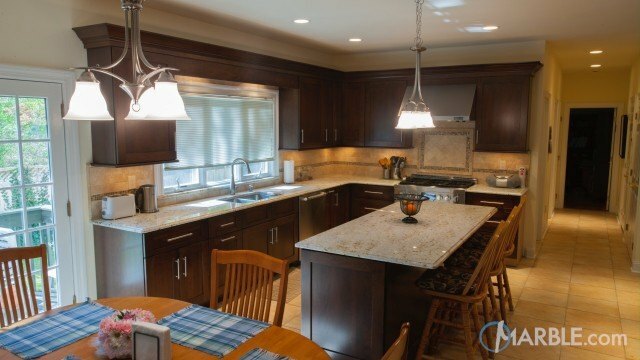 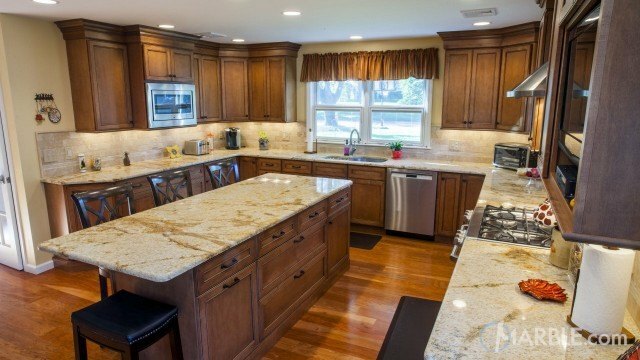 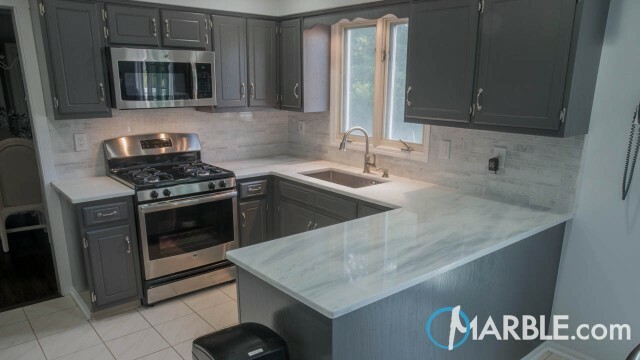 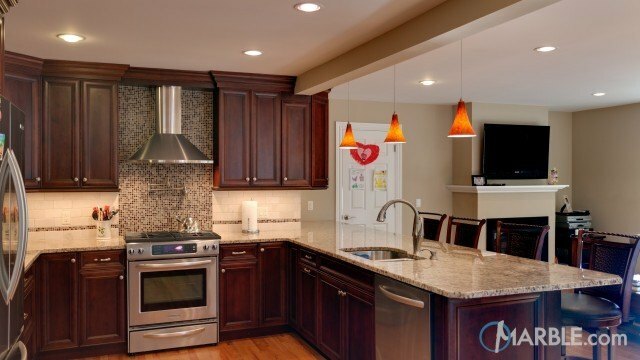 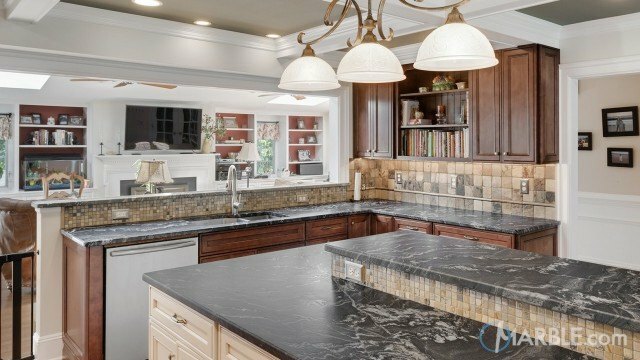 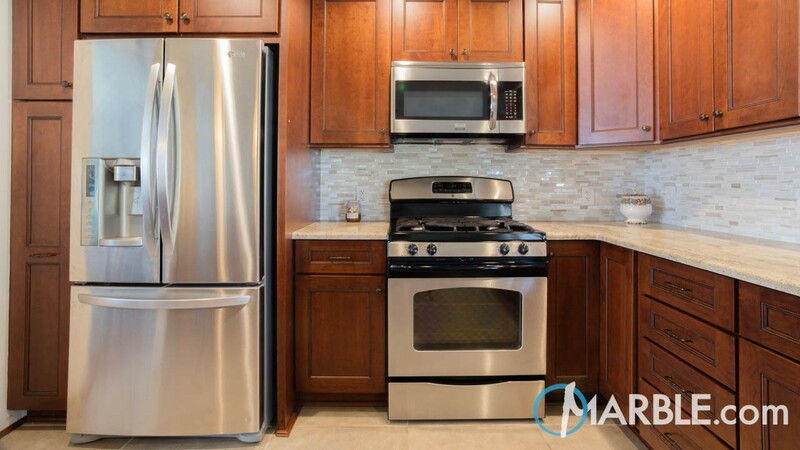 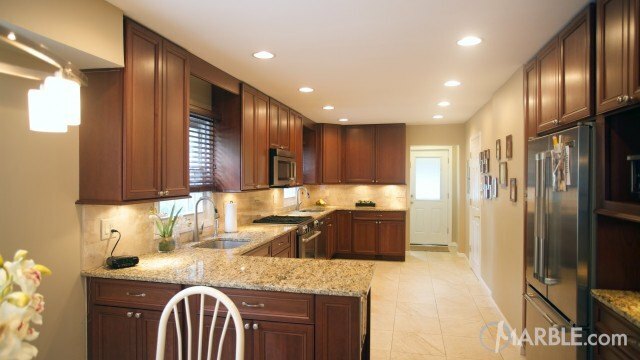 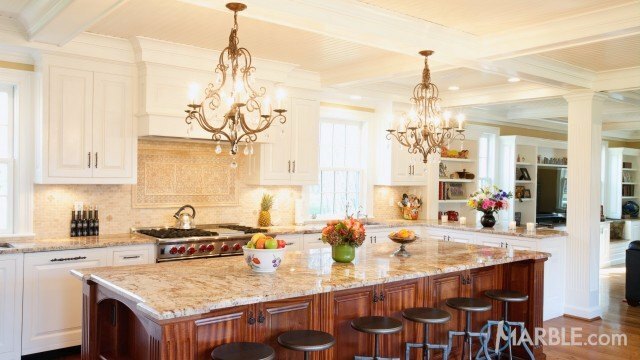 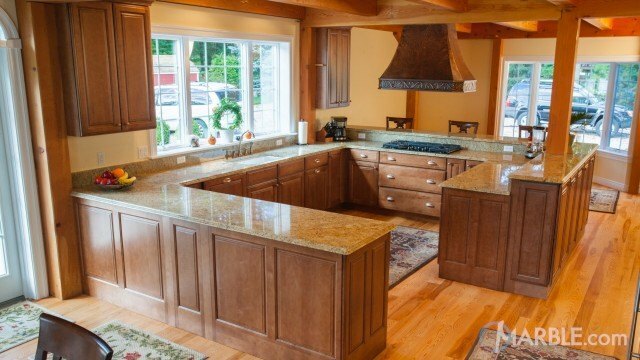 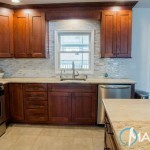 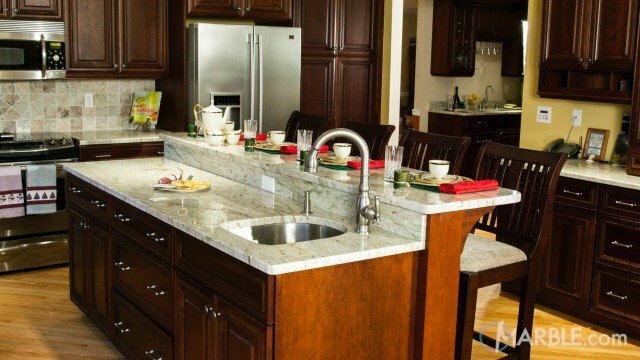 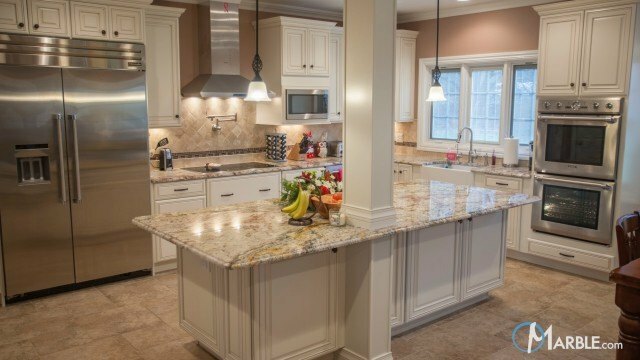 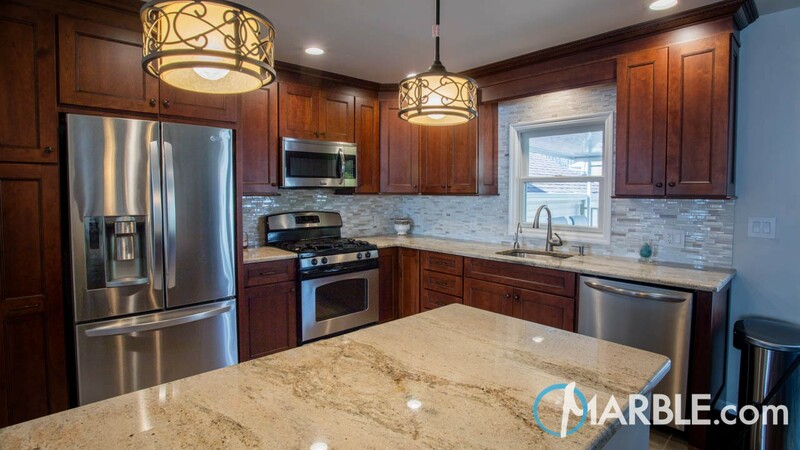 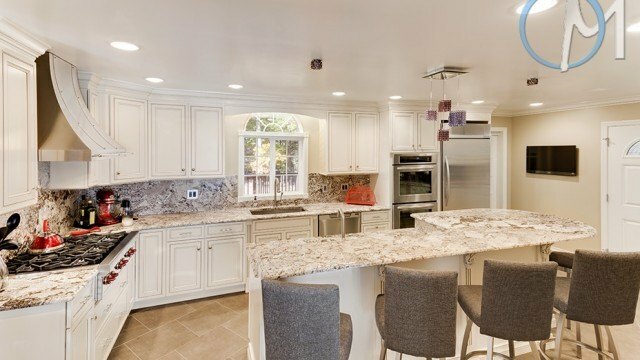 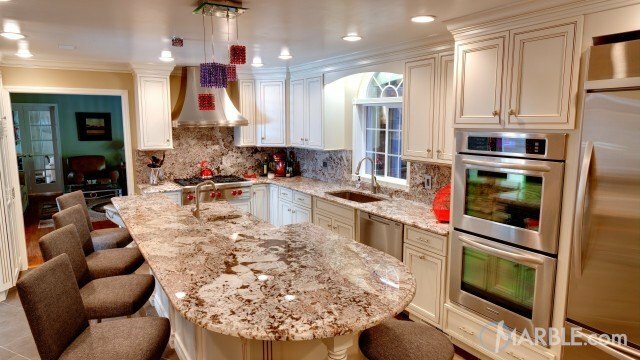 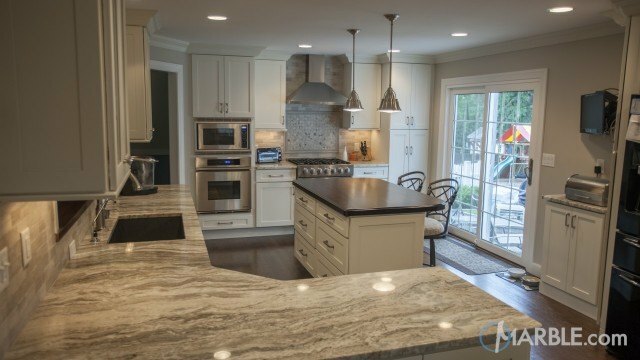 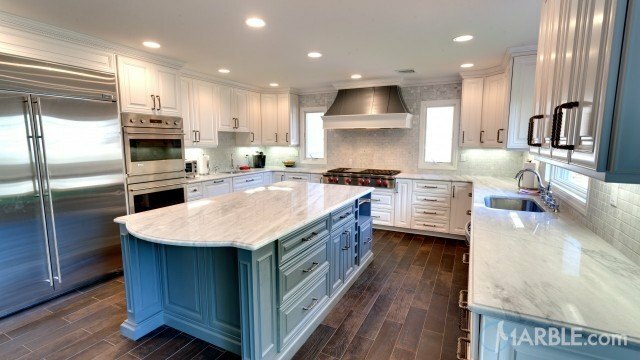 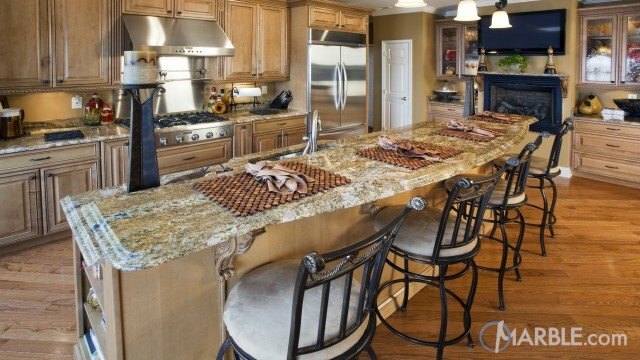 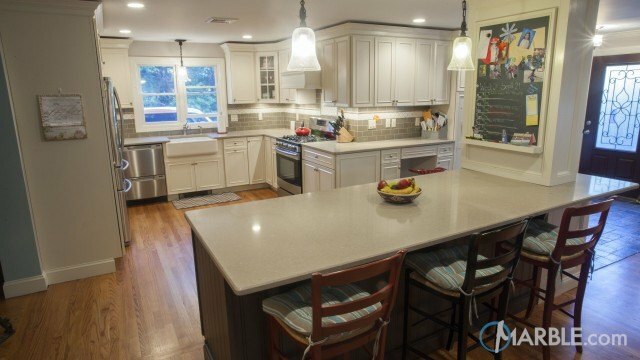 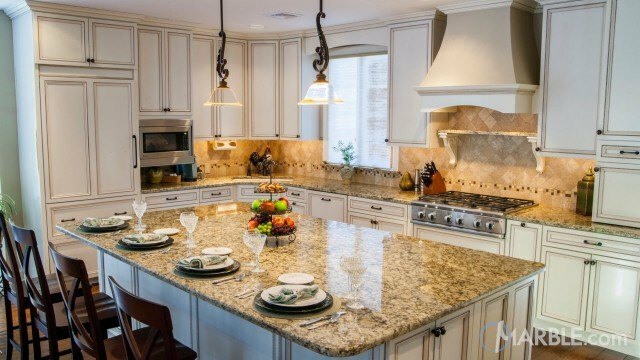 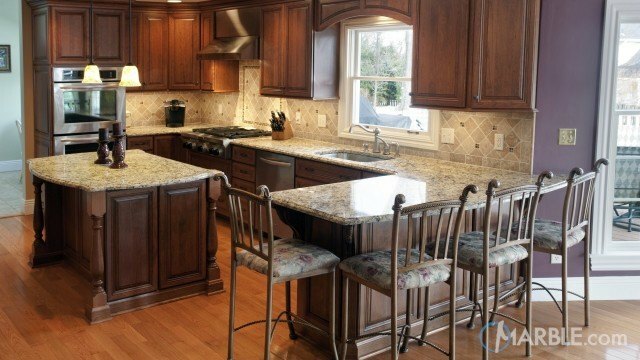 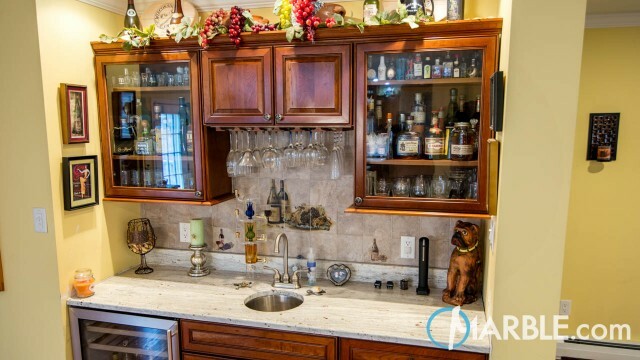 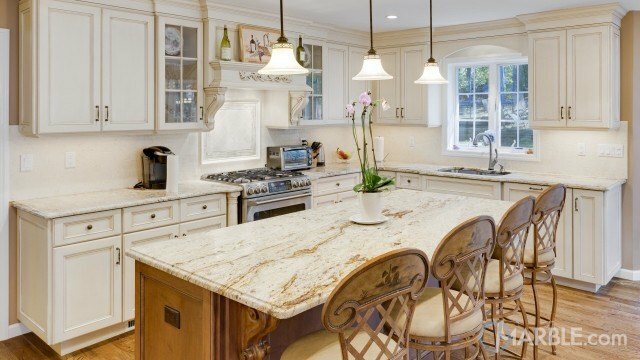 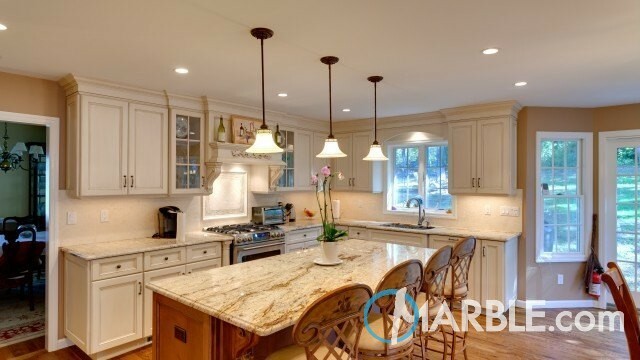 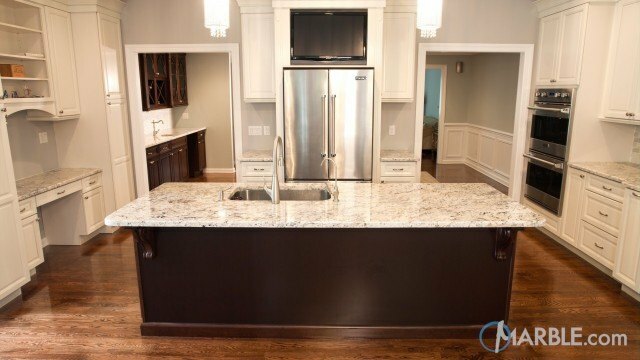 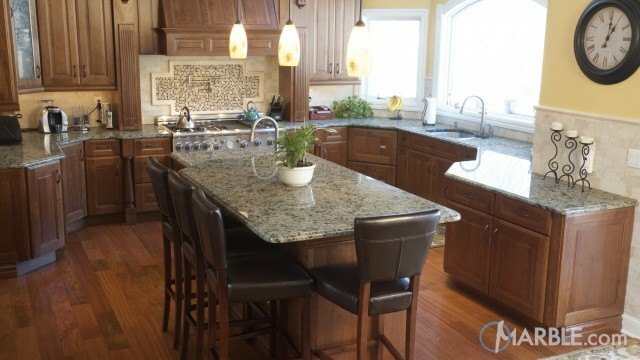 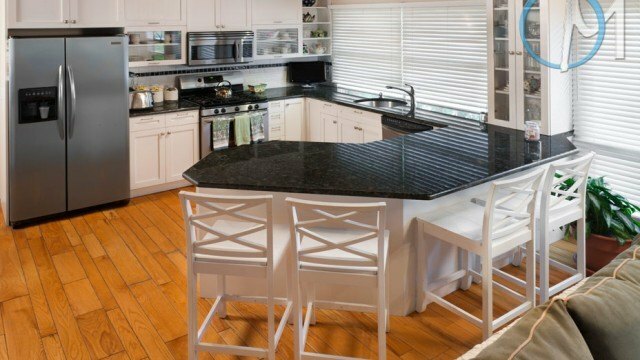 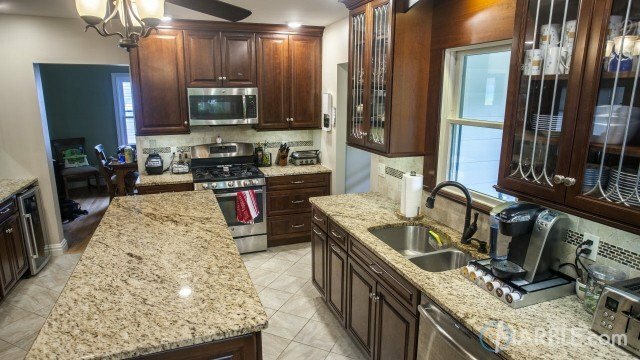 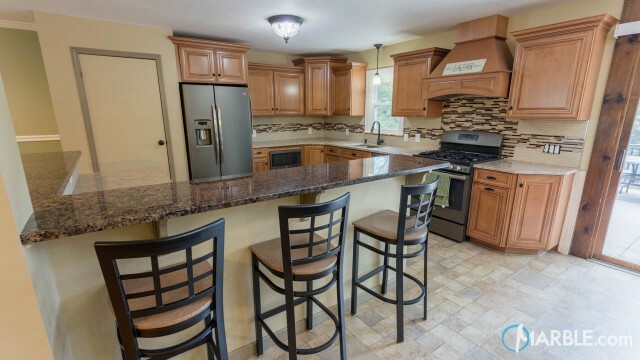 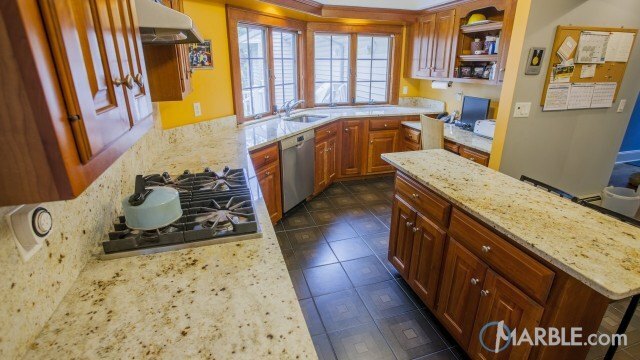 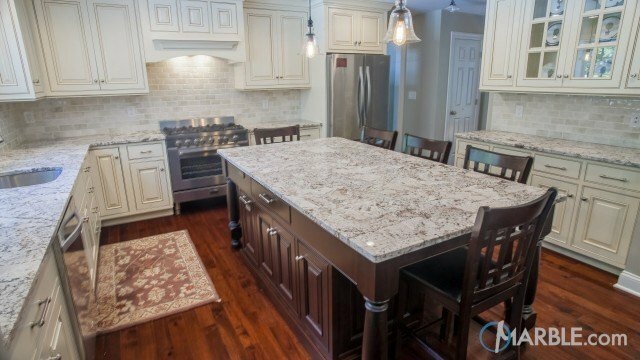 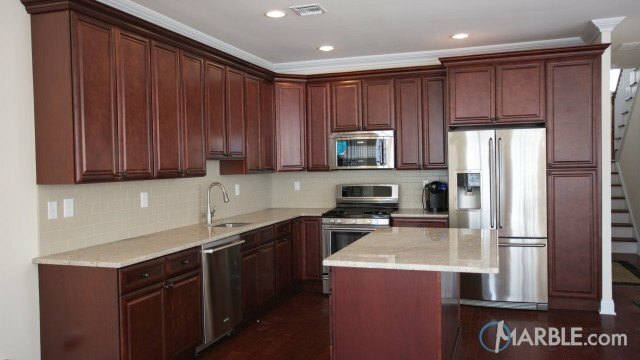 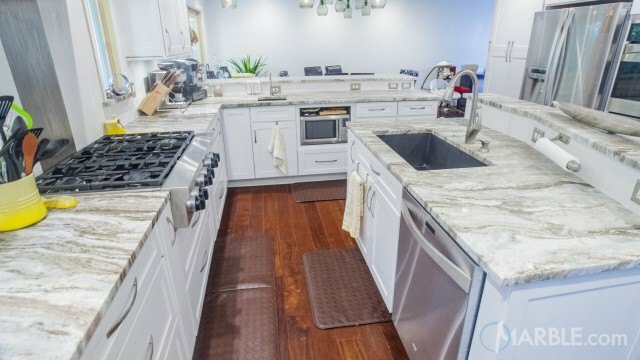 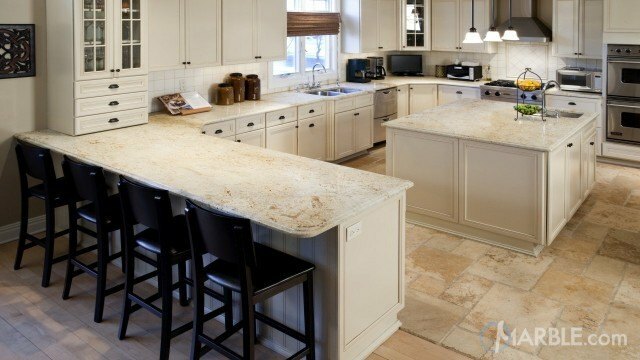 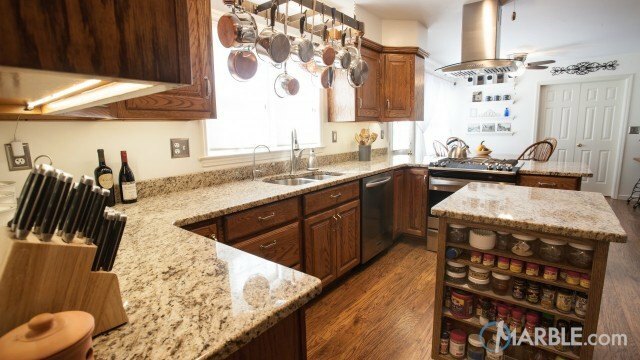 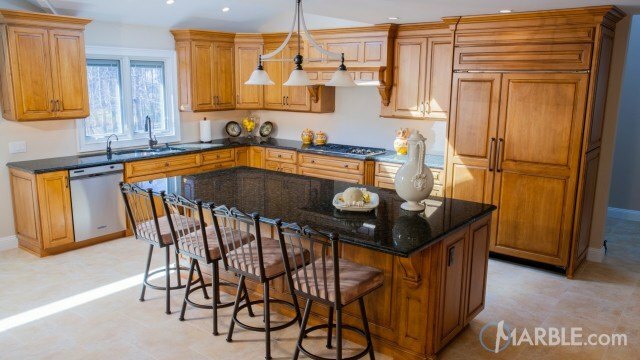 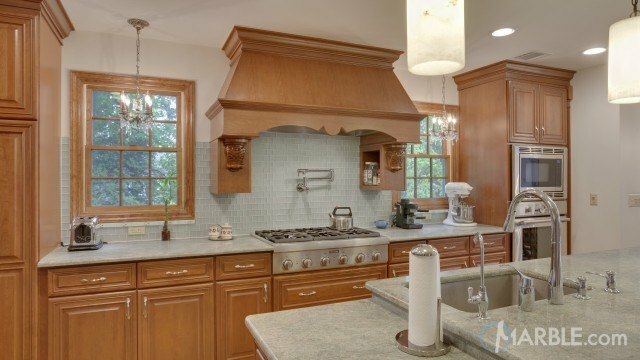 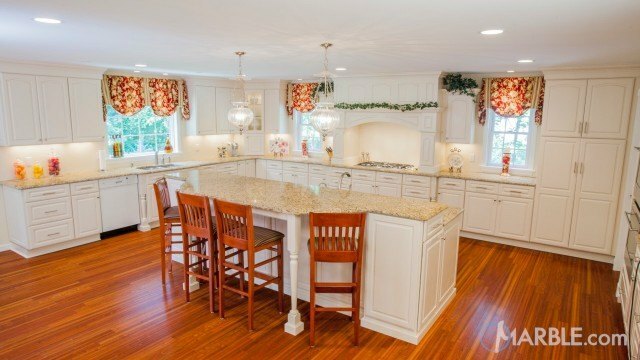 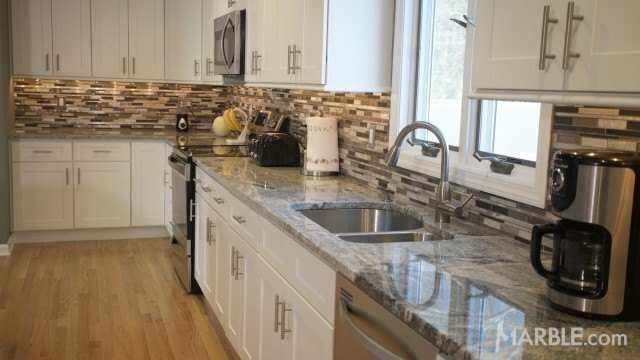 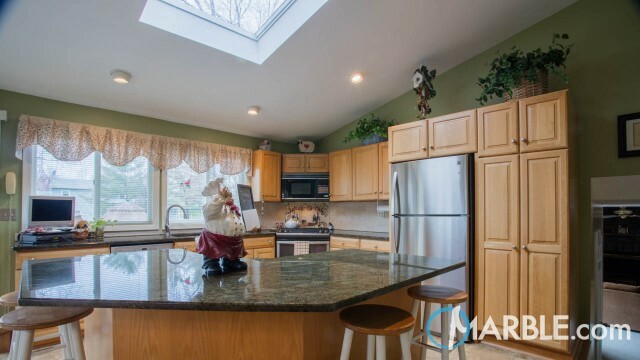 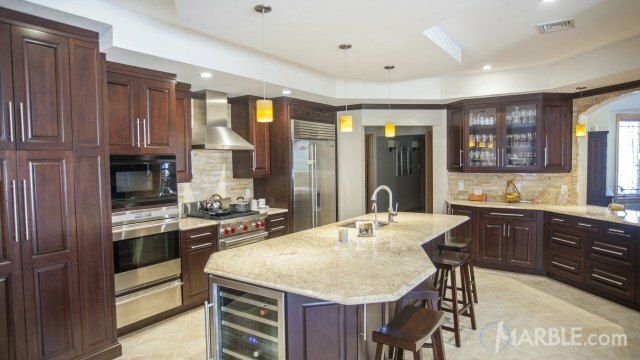 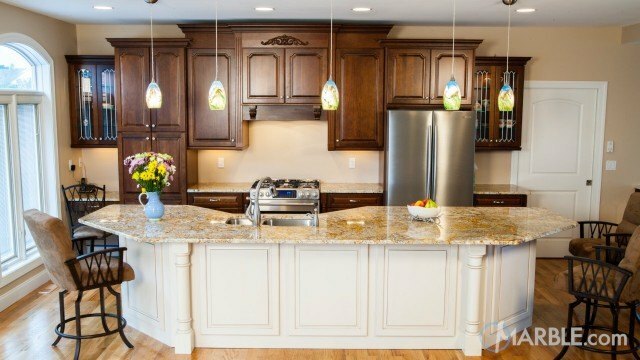 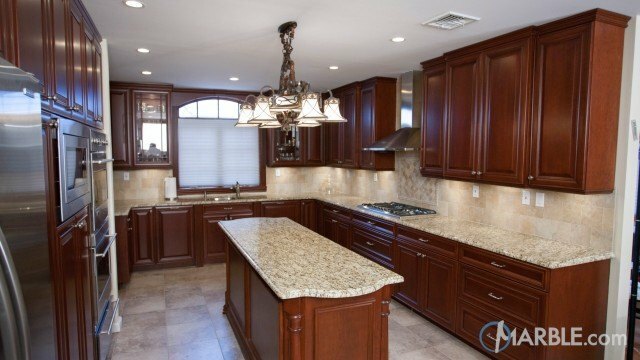 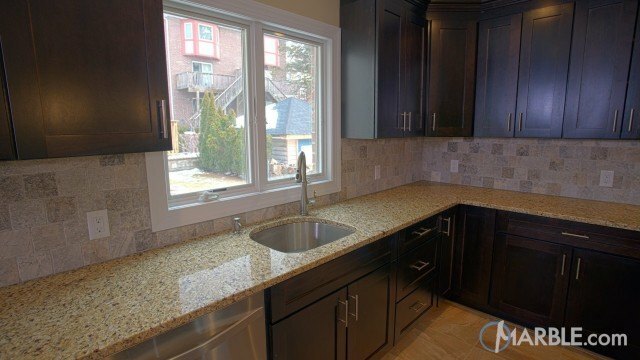 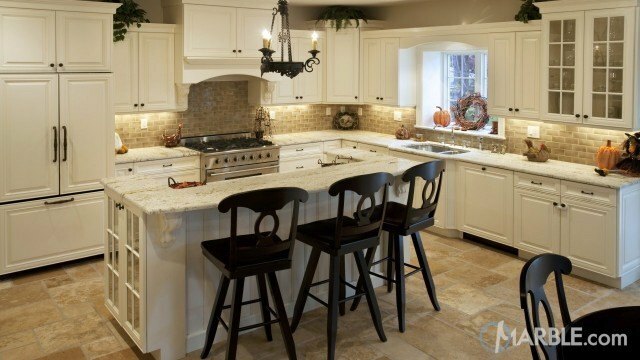 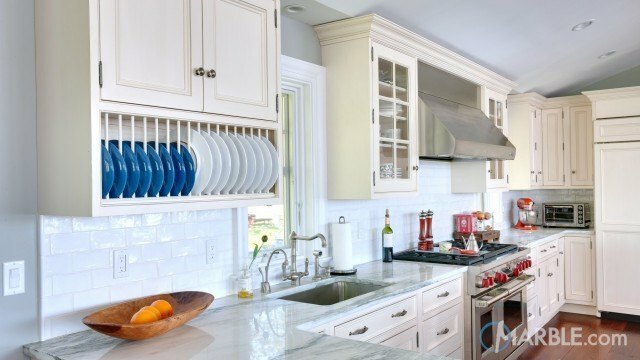 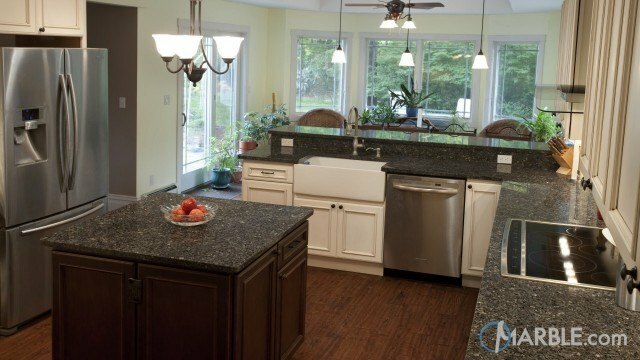 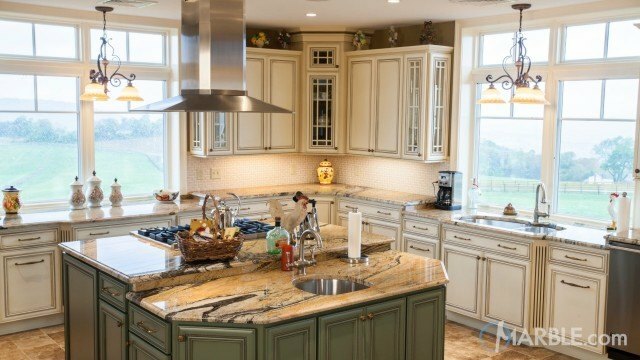 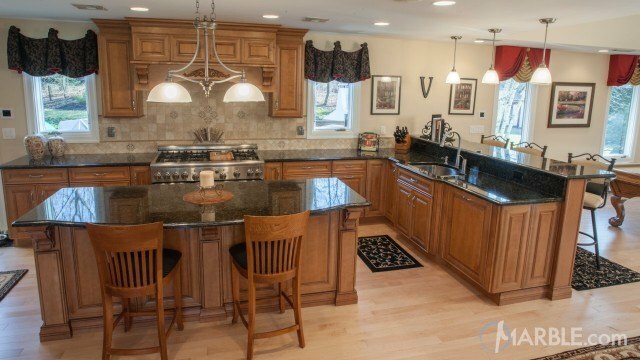 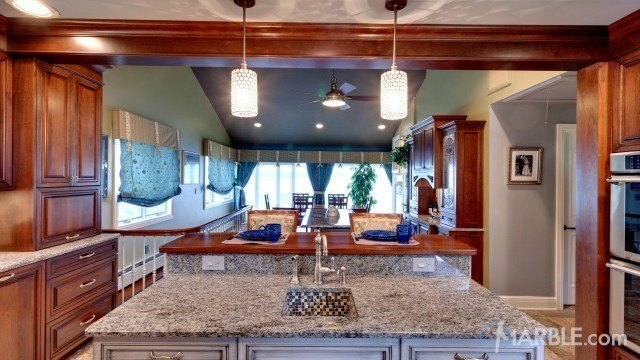 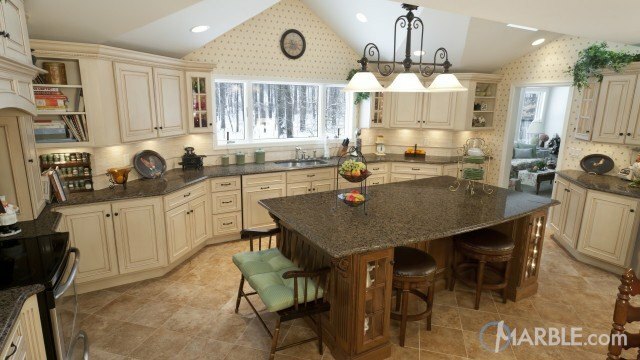 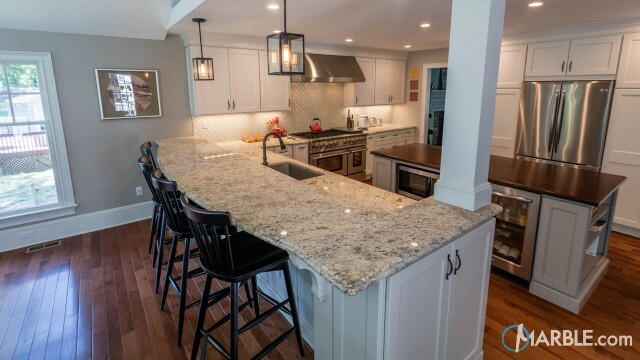 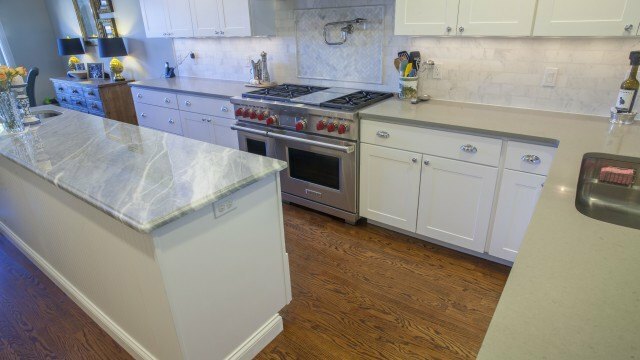 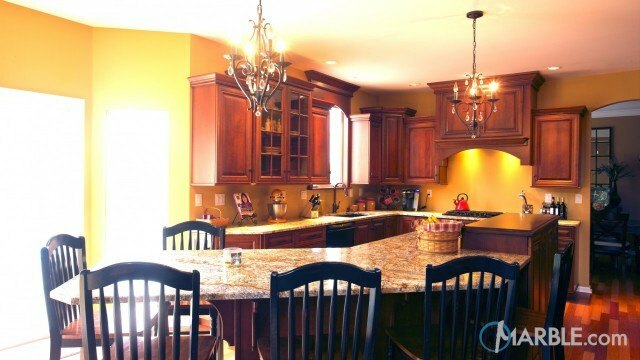 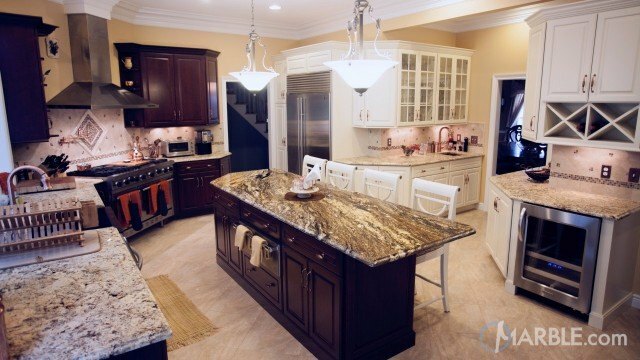 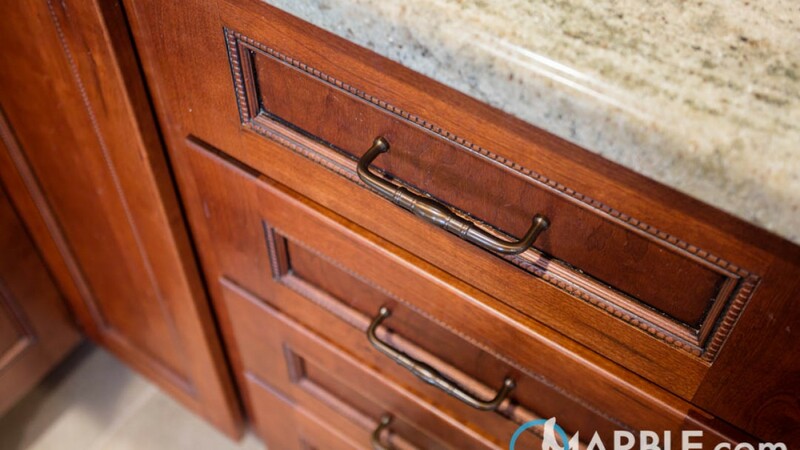 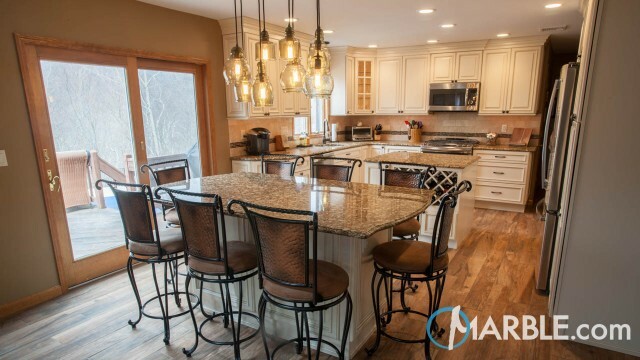 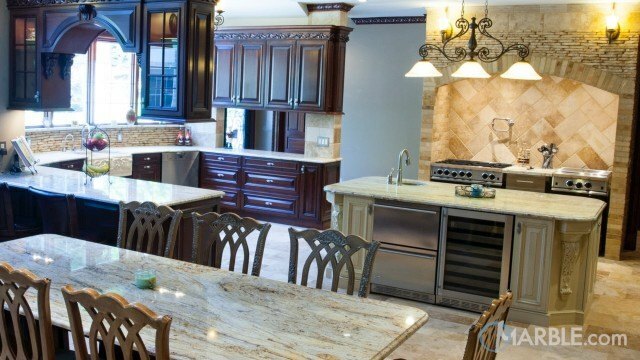 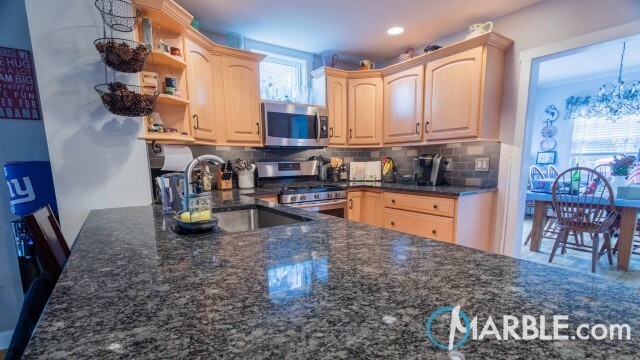 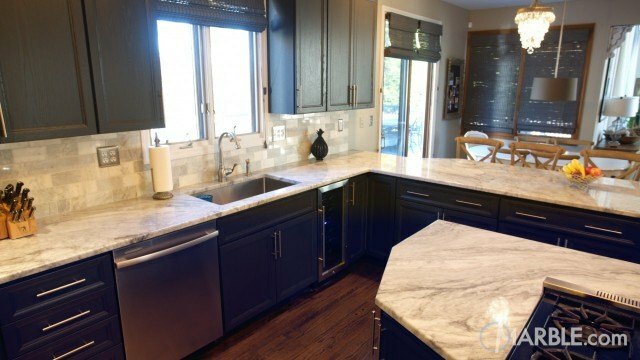 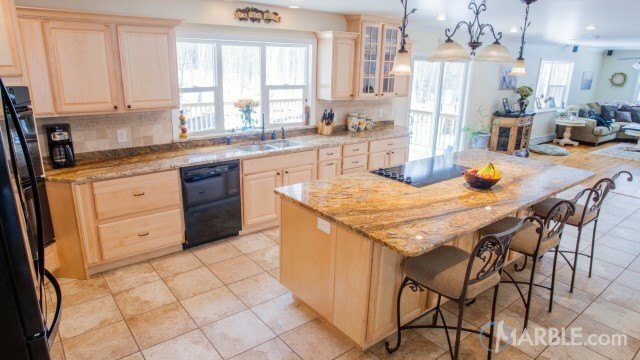 Colonial Cream granite counter tops line the cabinets of this lovely suburban kitchen. 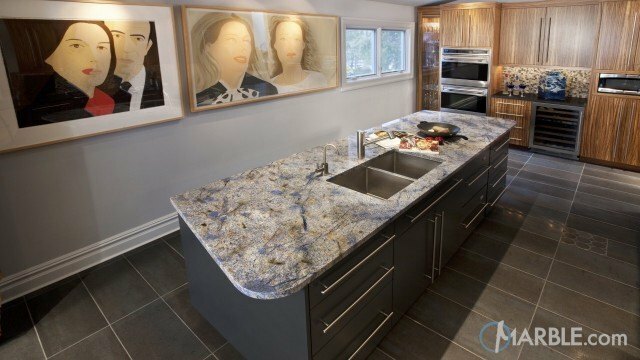 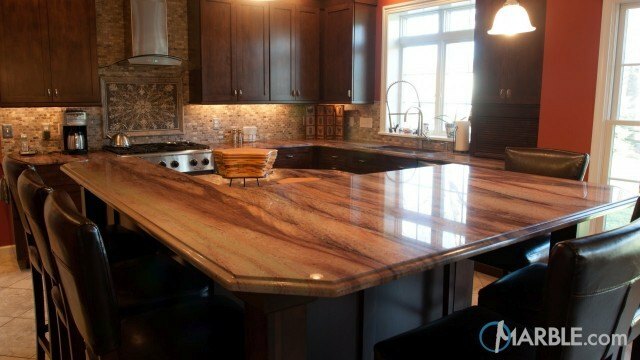 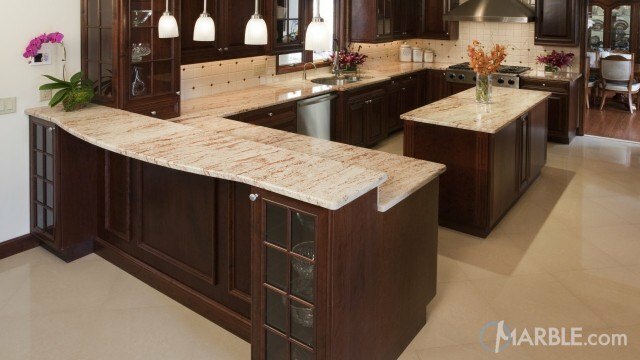 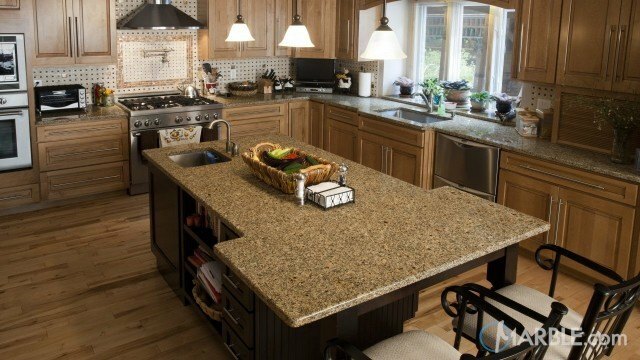 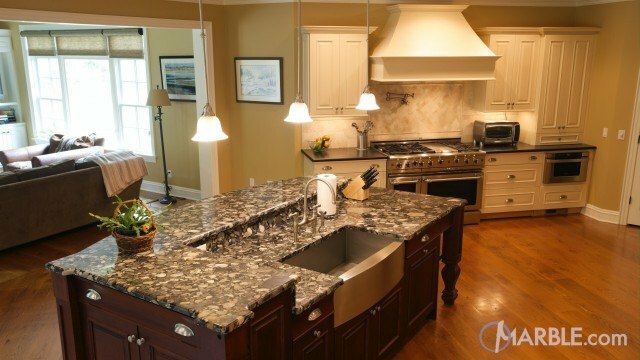 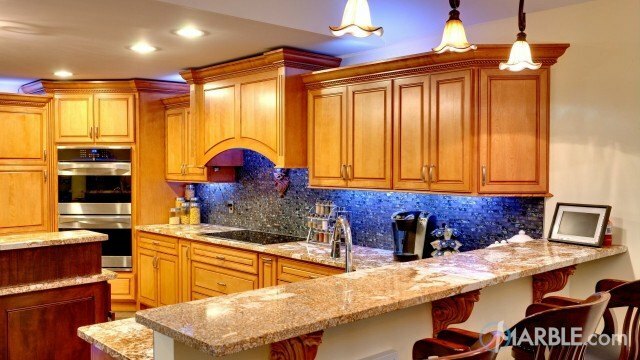 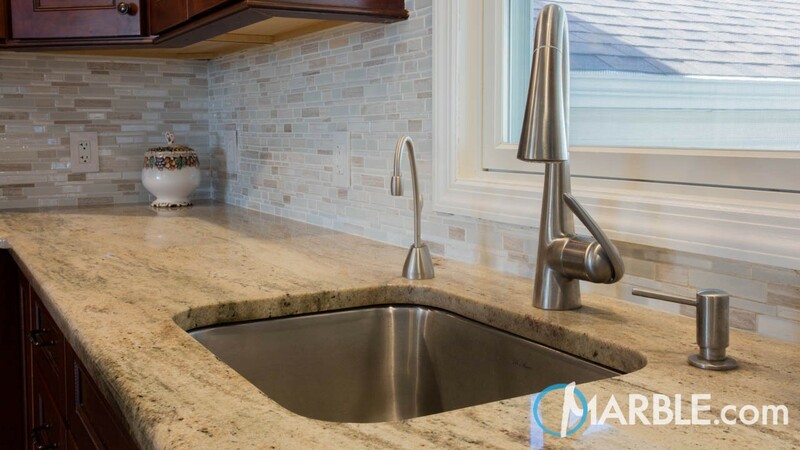 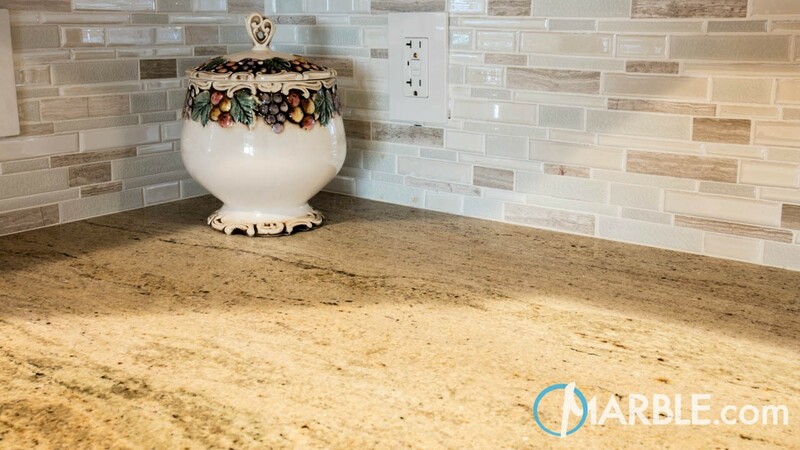 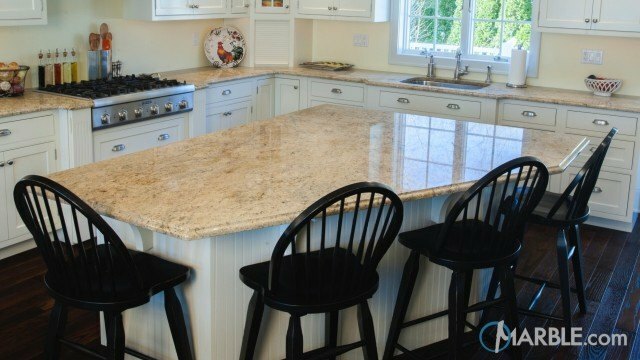 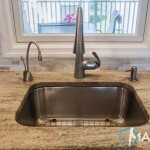 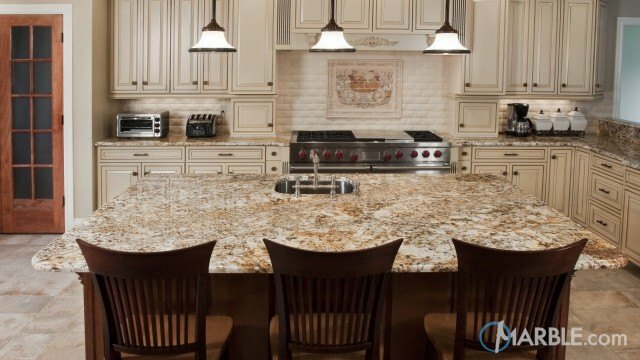 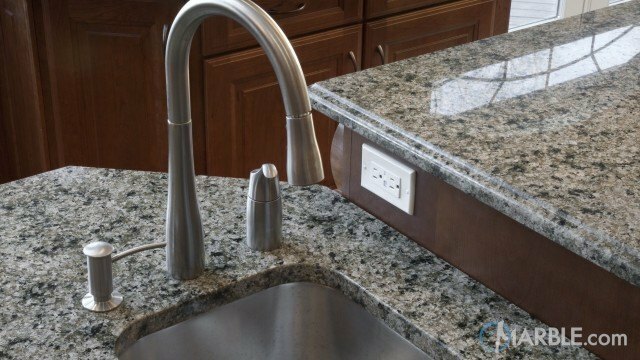 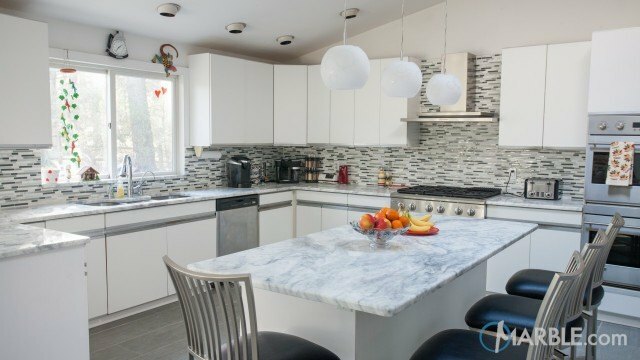 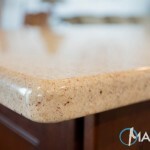 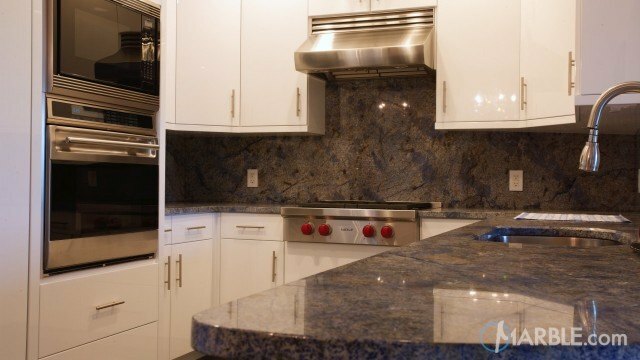 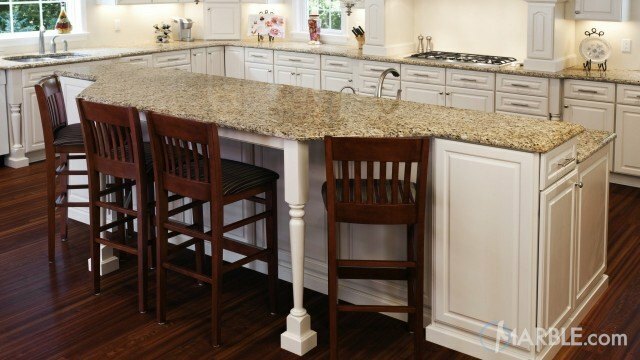 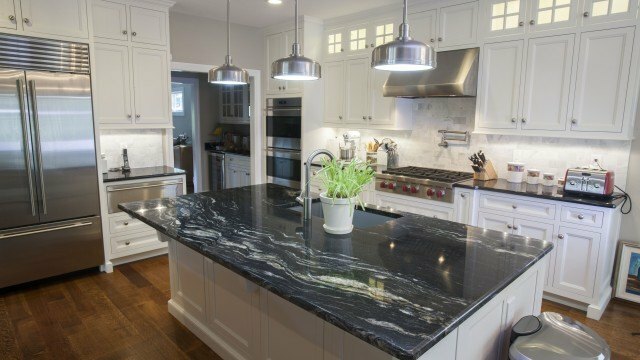 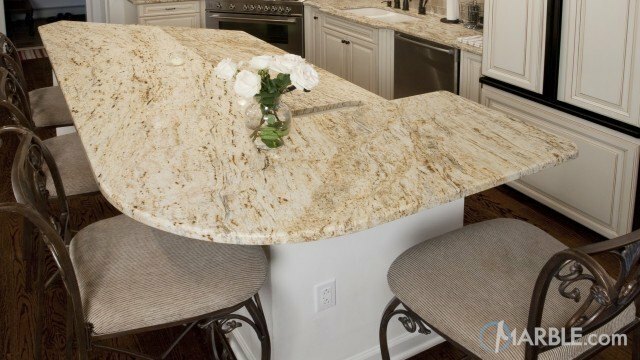 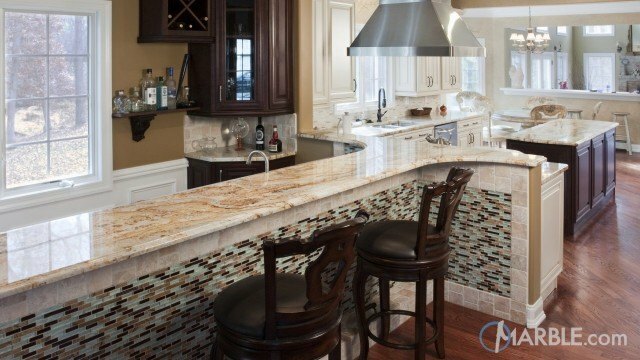 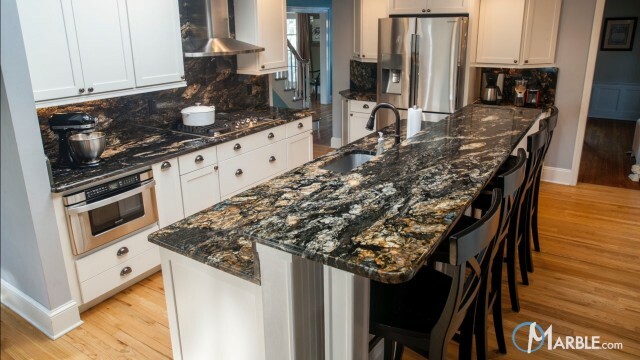 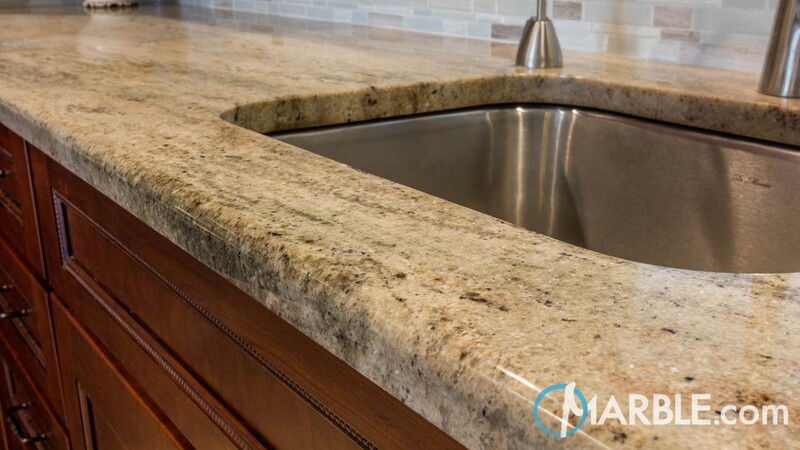 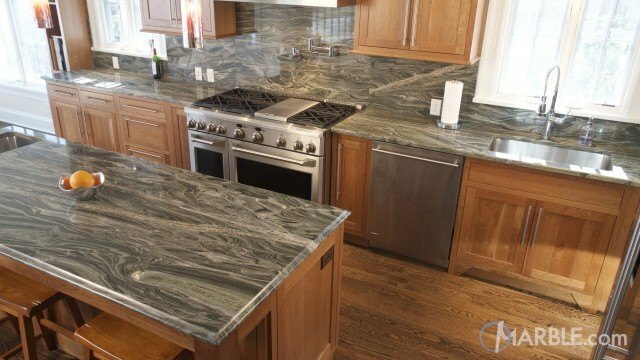 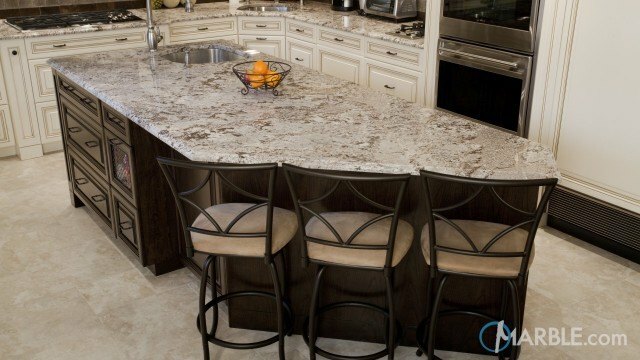 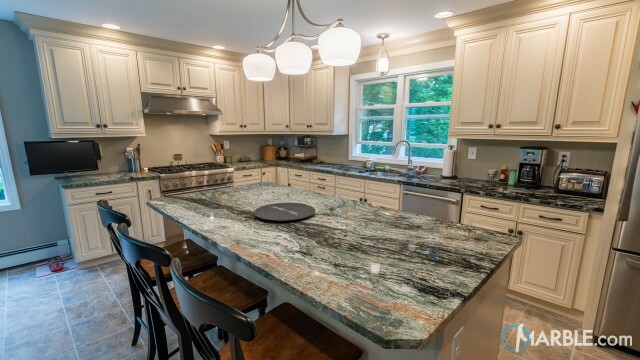 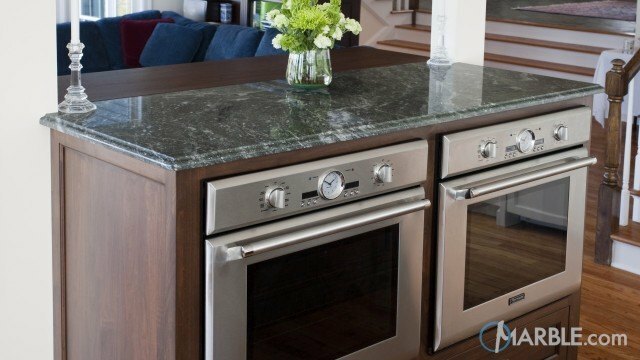 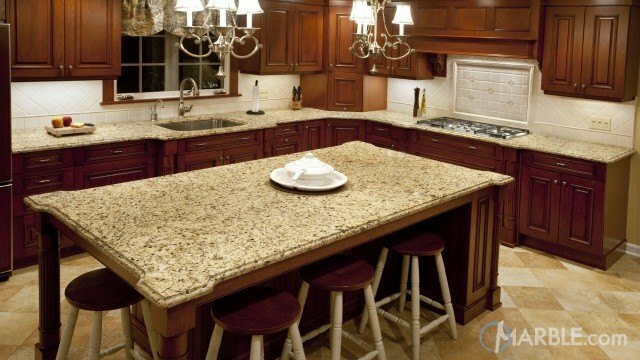 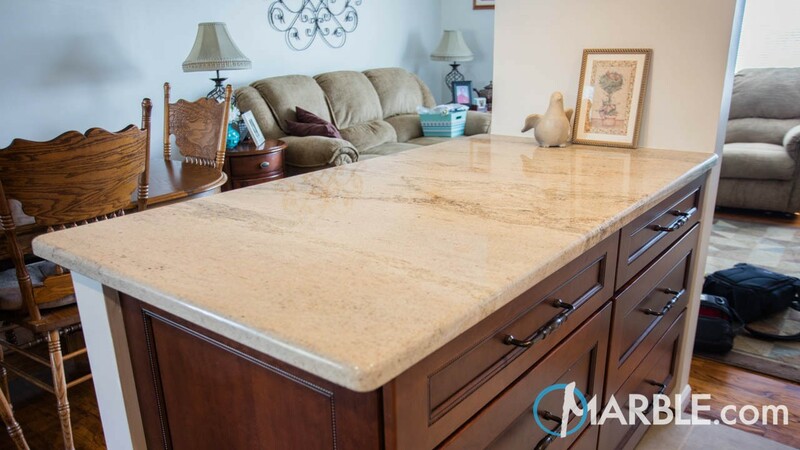 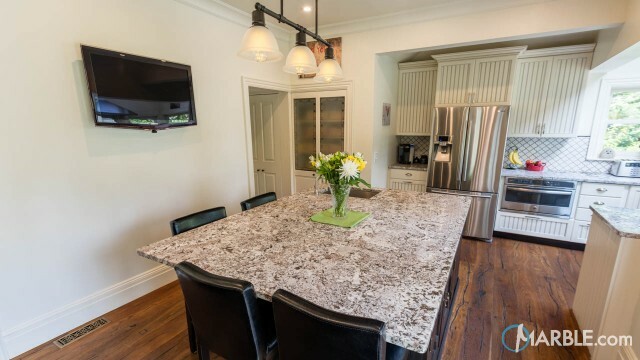 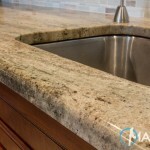 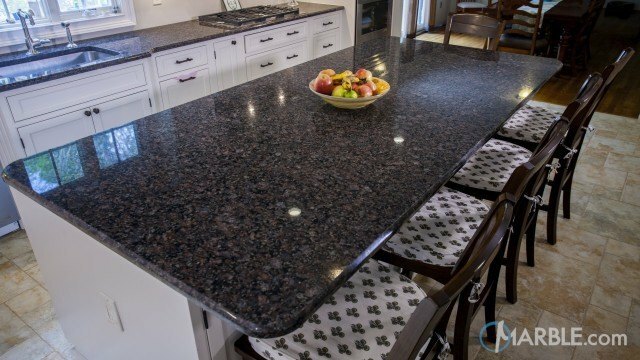 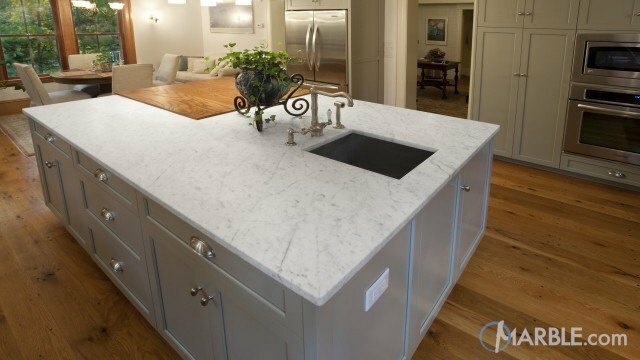 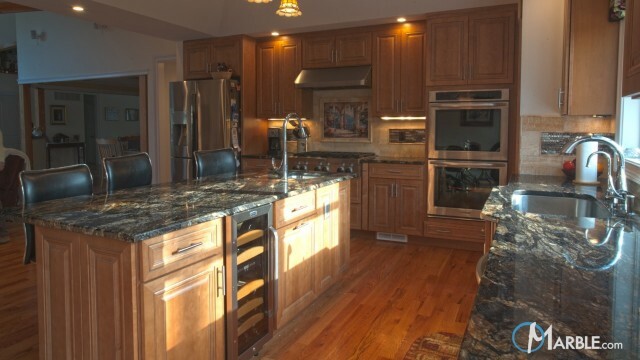 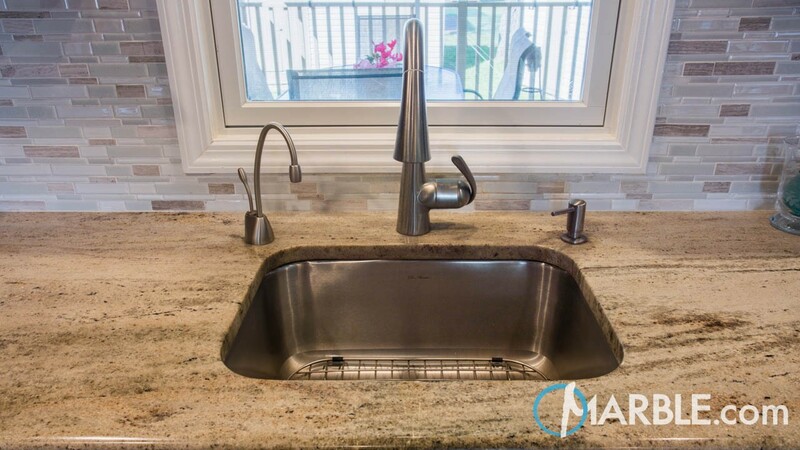 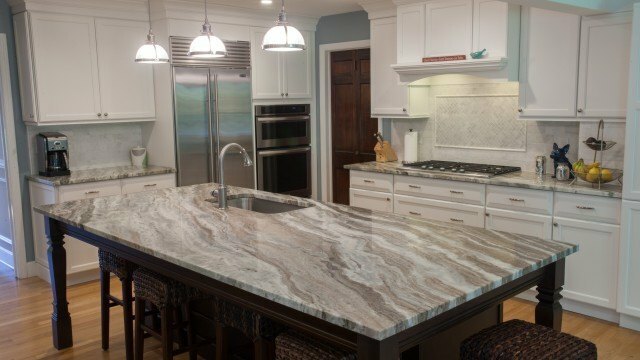 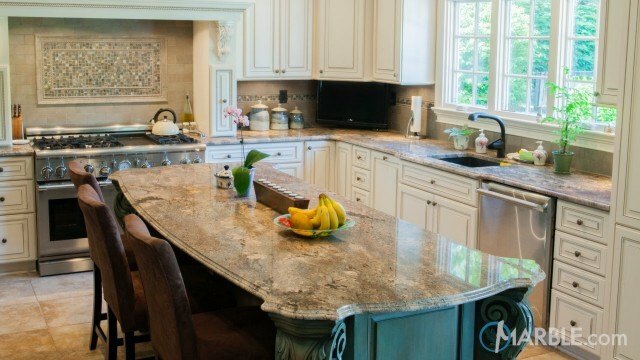 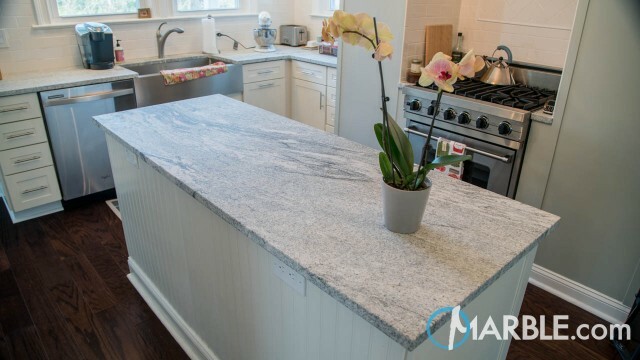 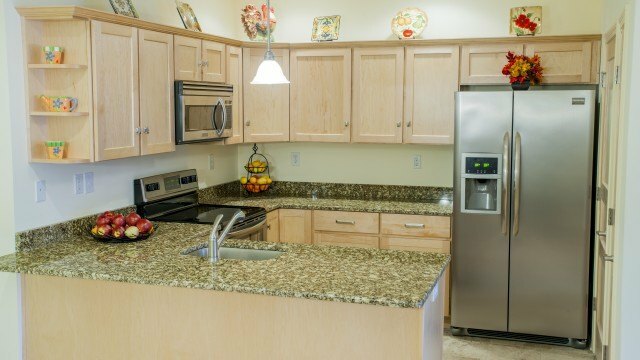 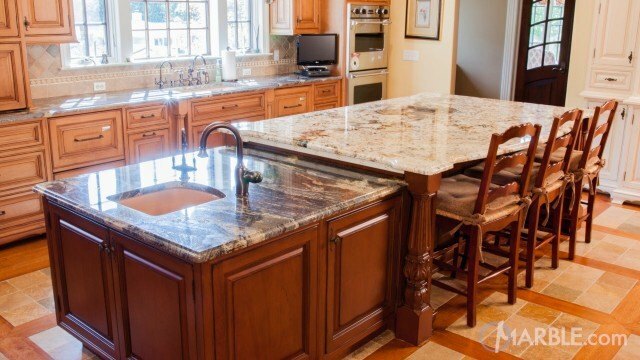 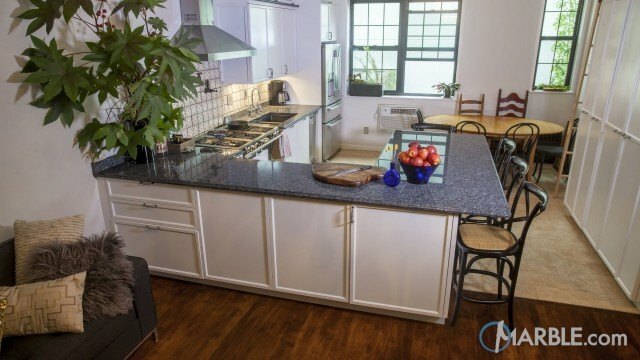 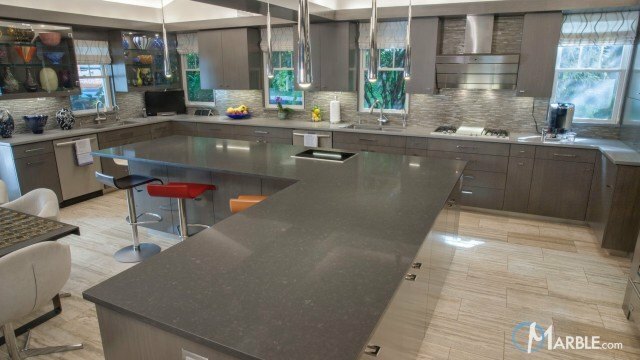 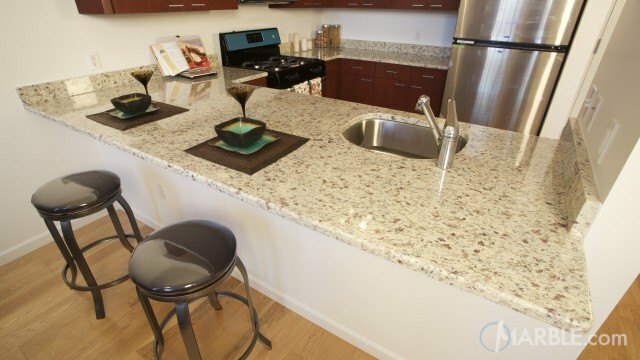 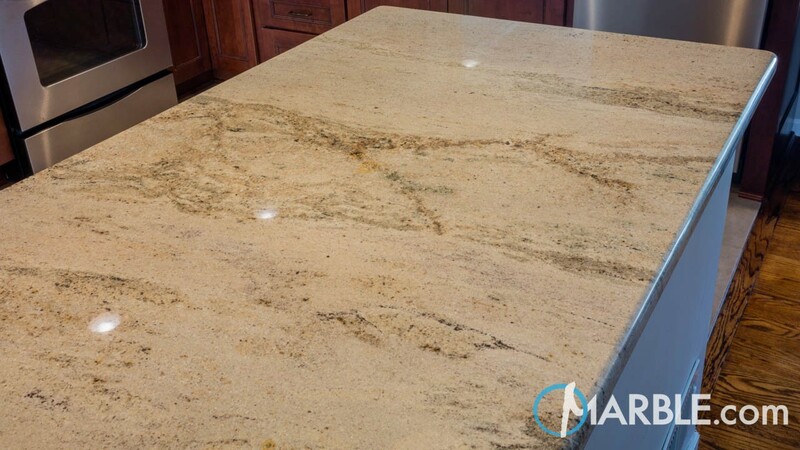 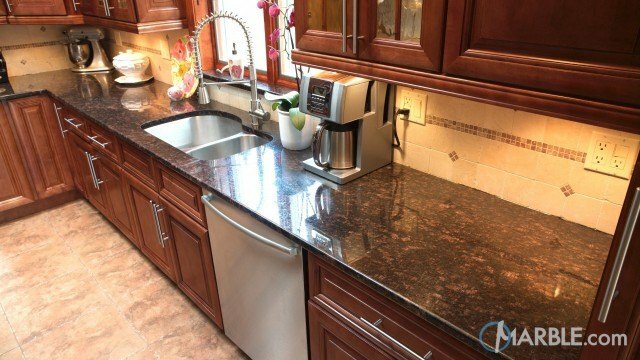 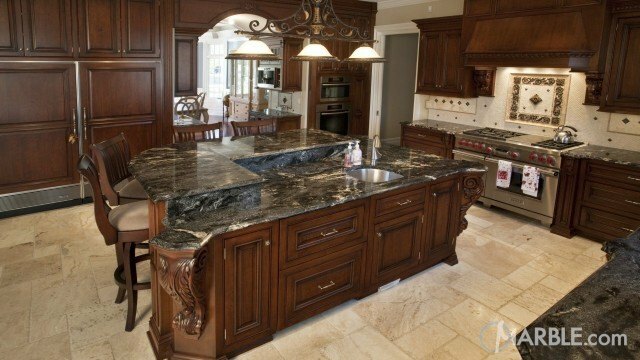 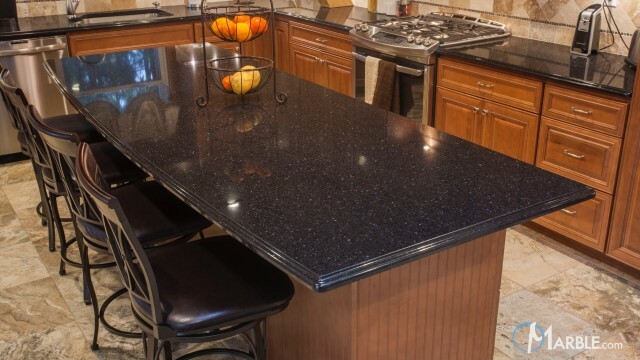 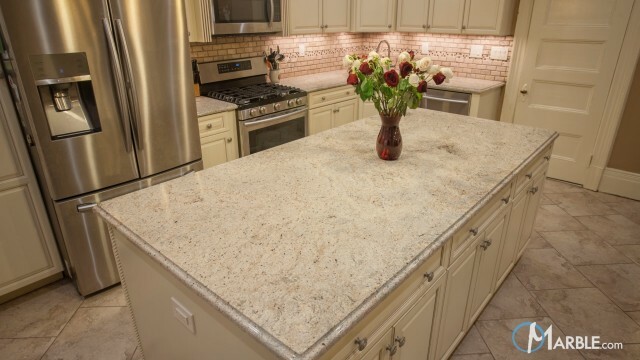 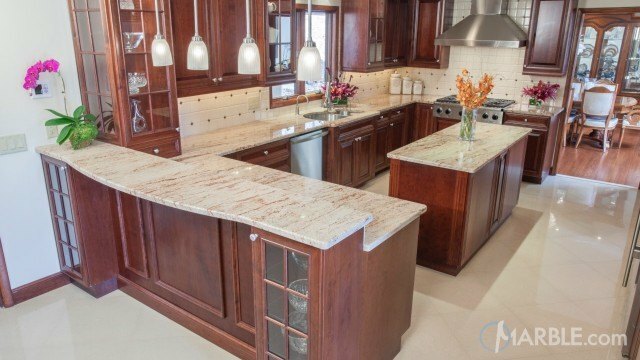 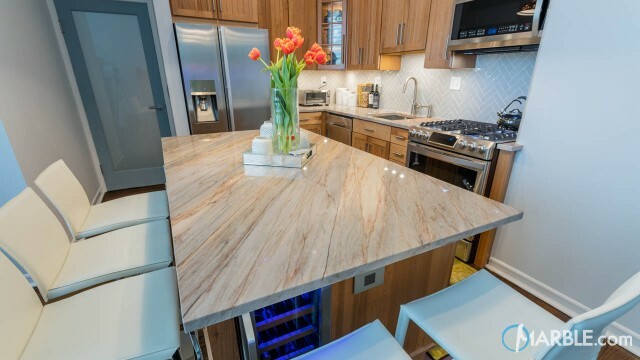 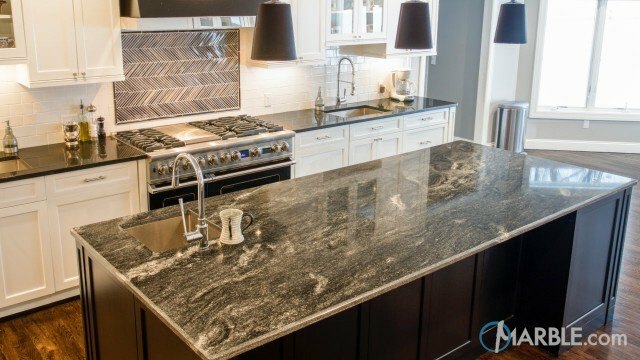 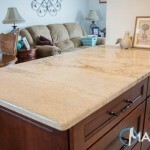 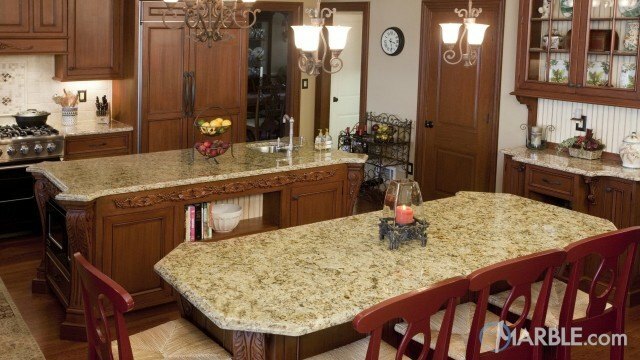 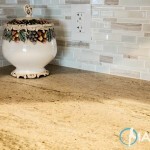 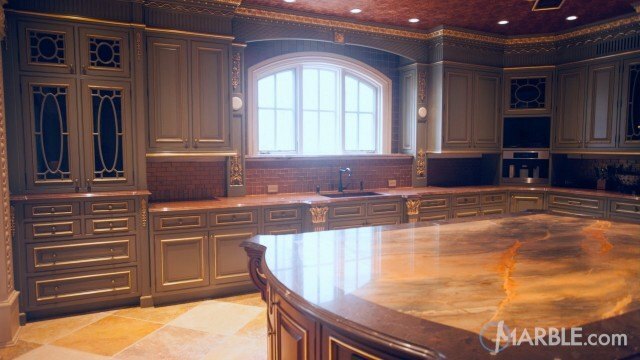 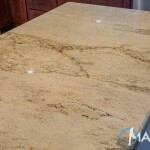 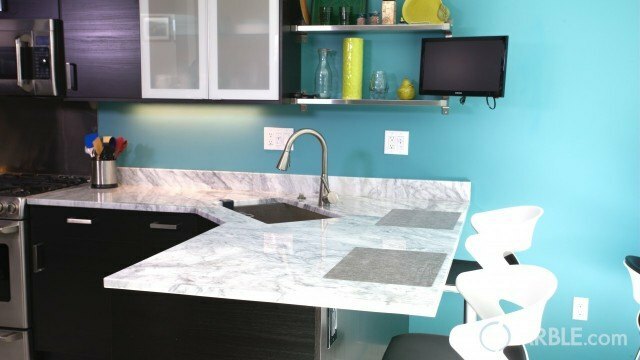 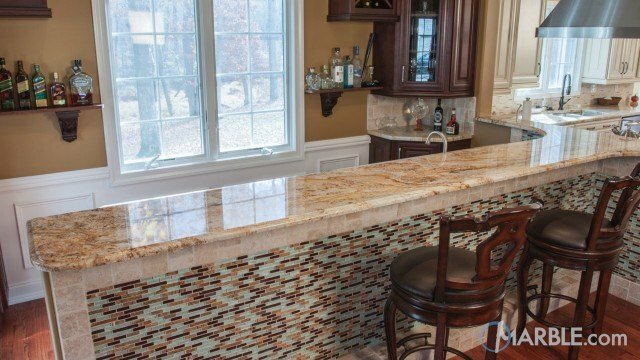 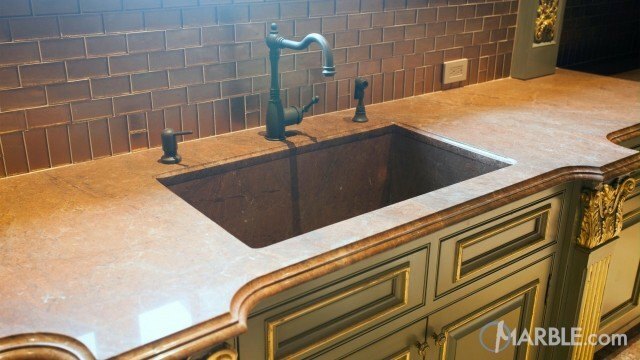 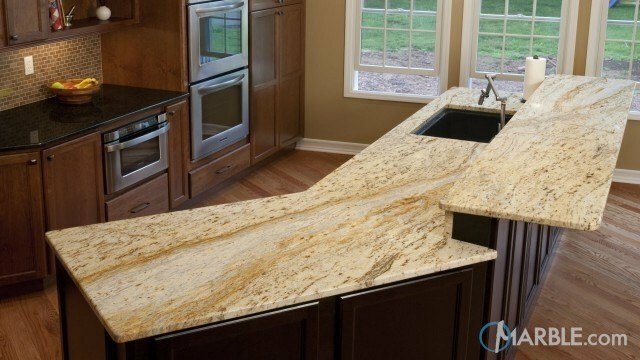 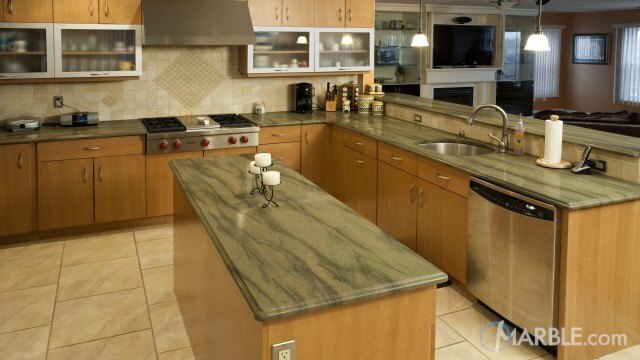 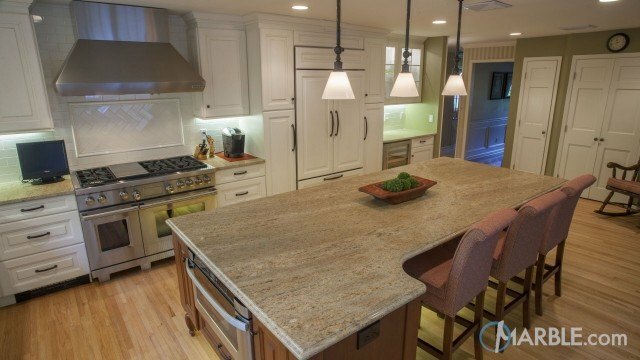 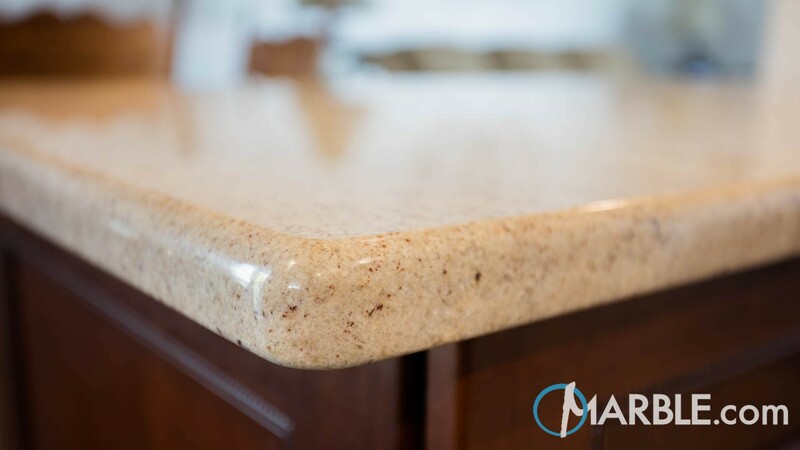 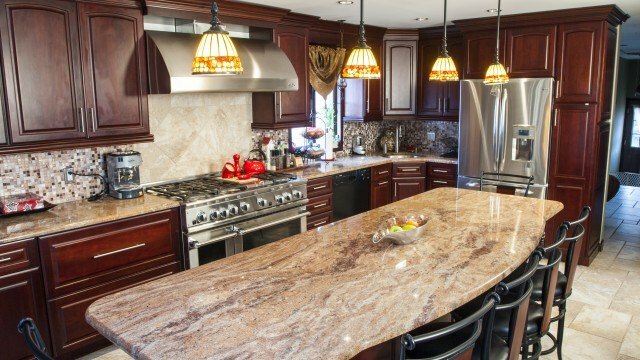 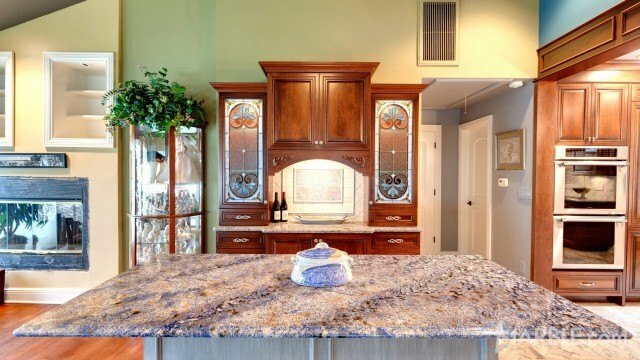 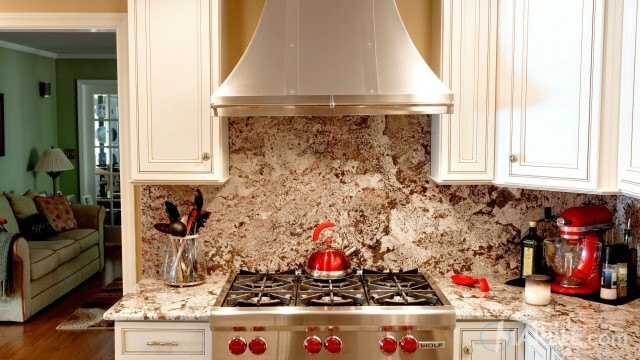 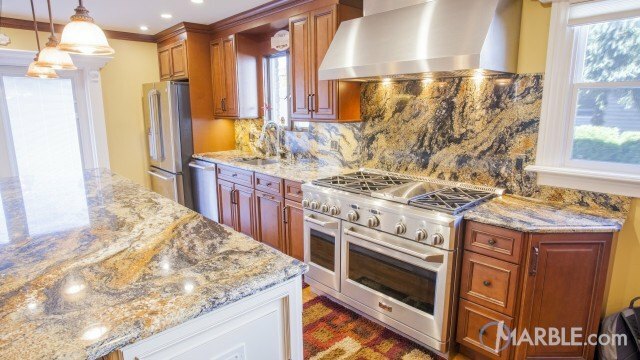 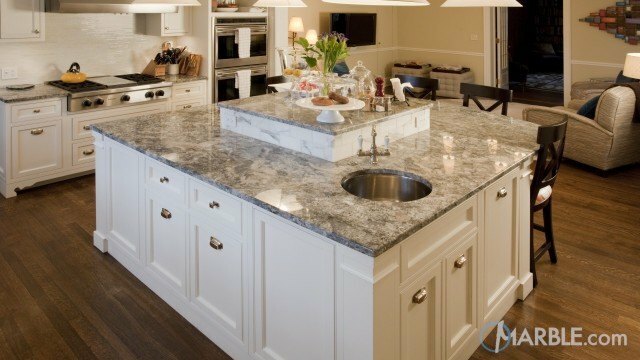 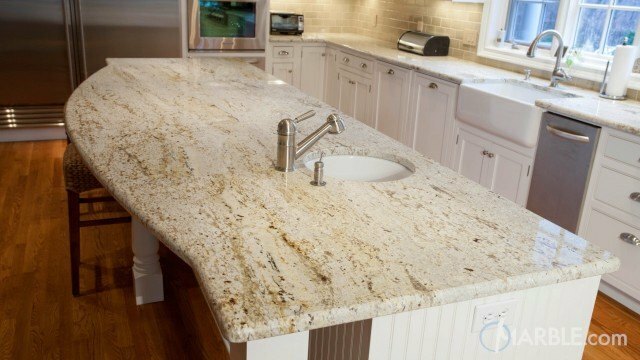 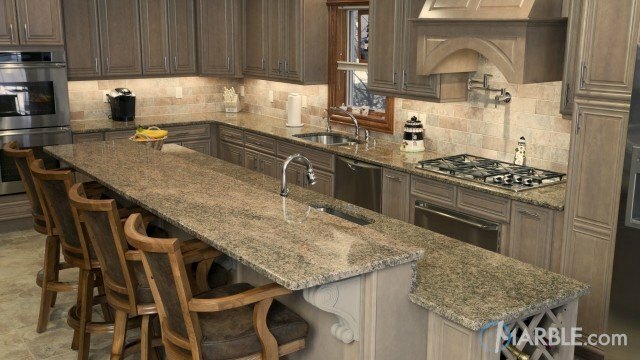 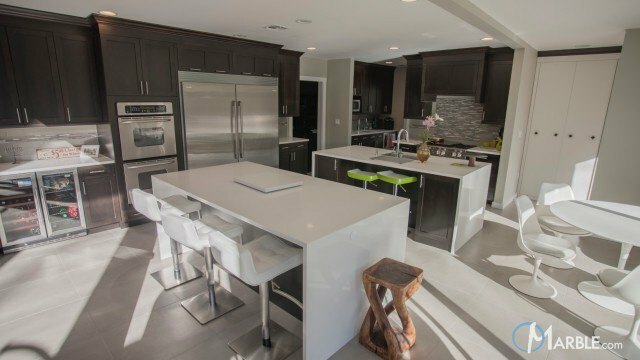 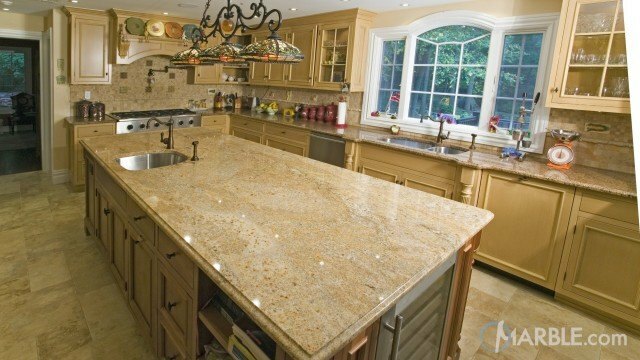 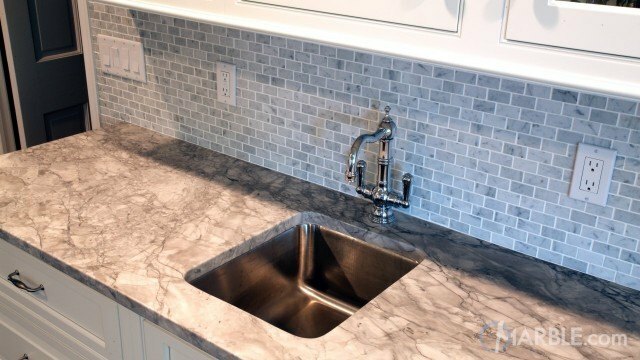 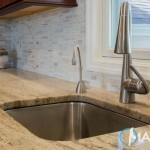 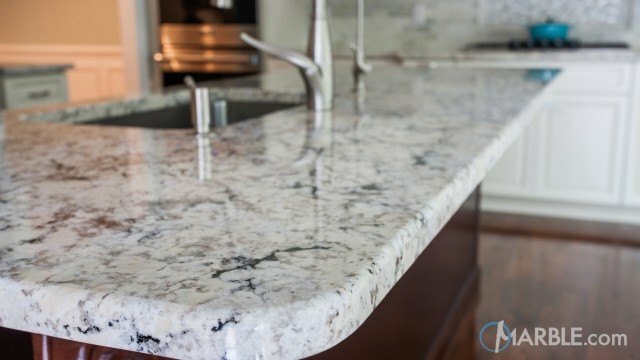 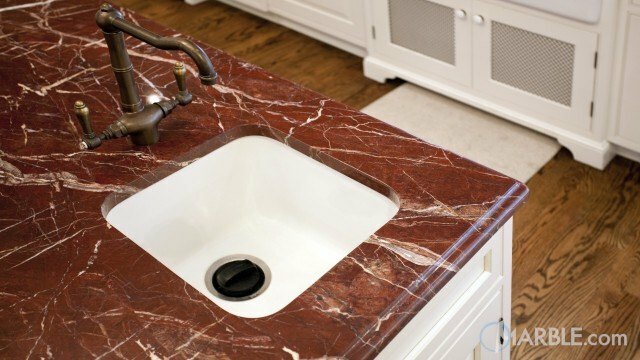 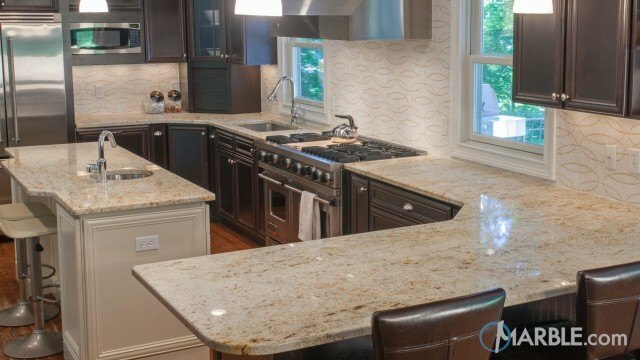 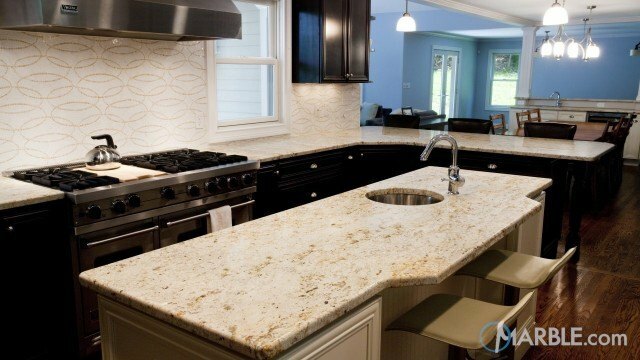 The beautiful natural variations of granite provide an artistic touch for the room. 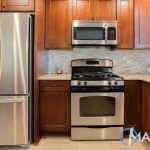 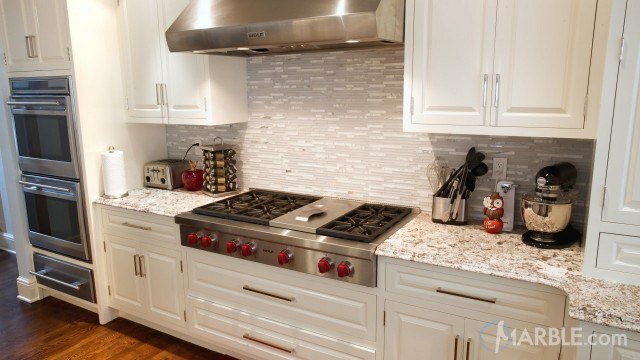 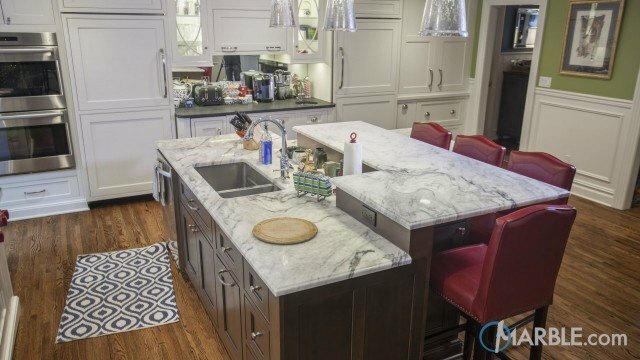 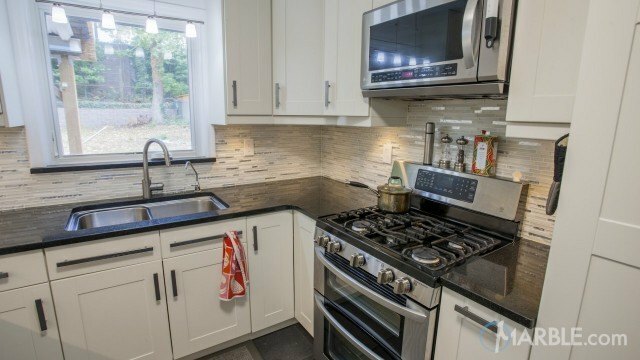 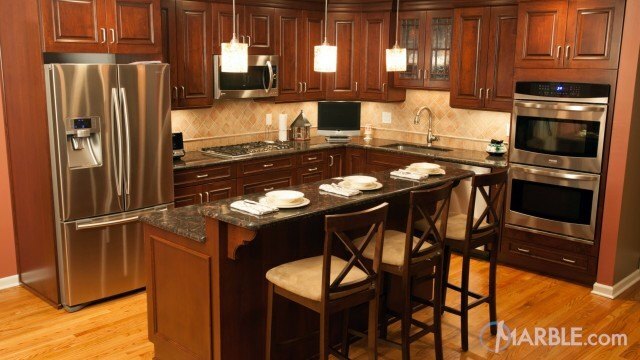 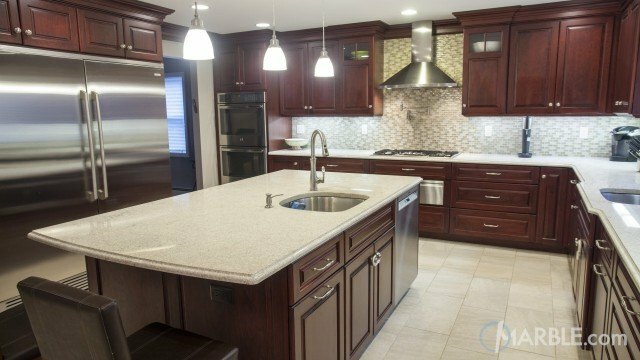 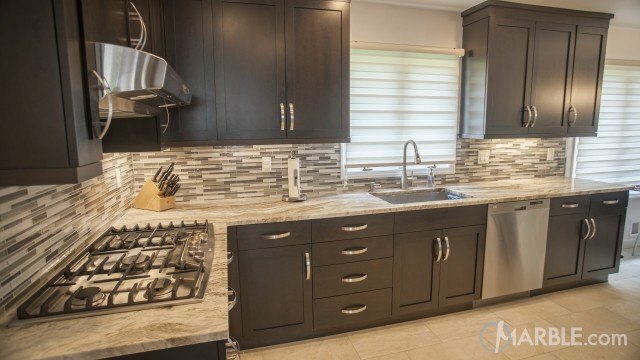 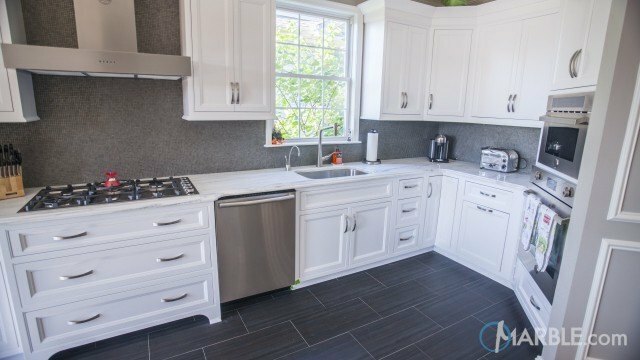 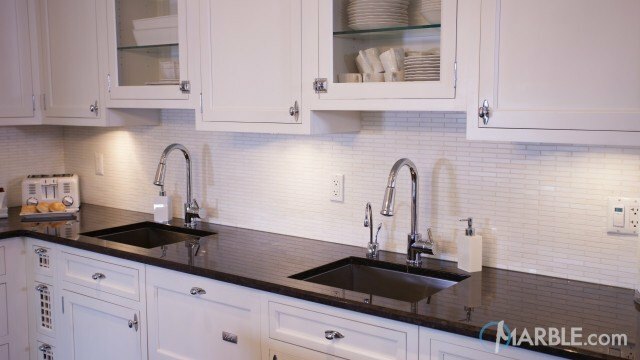 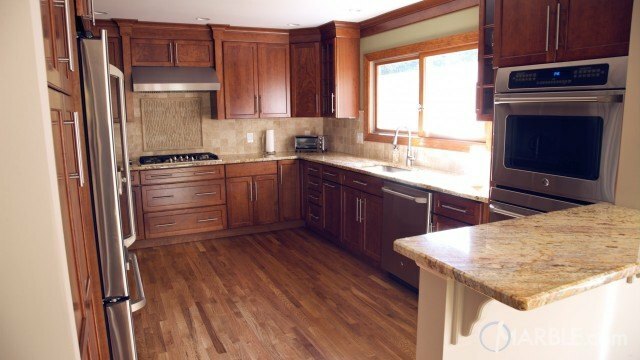 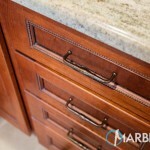 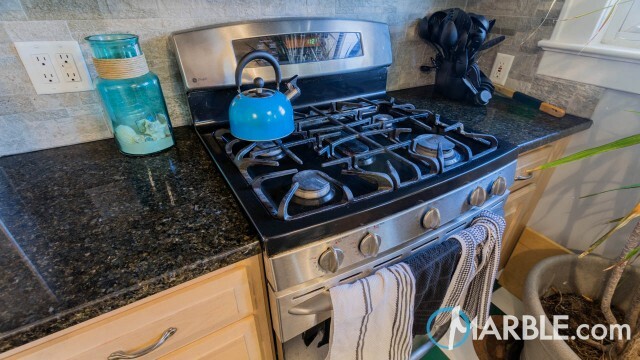 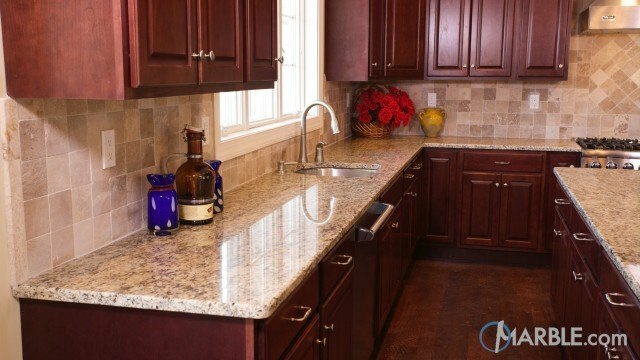 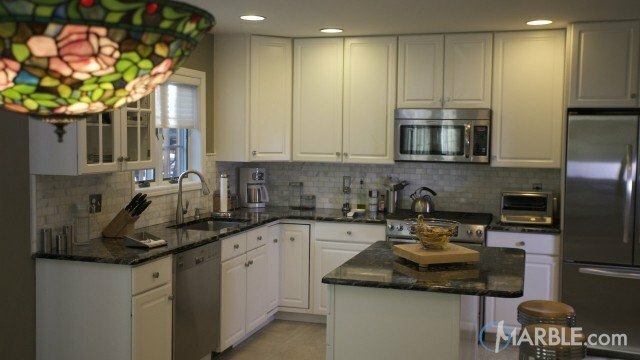 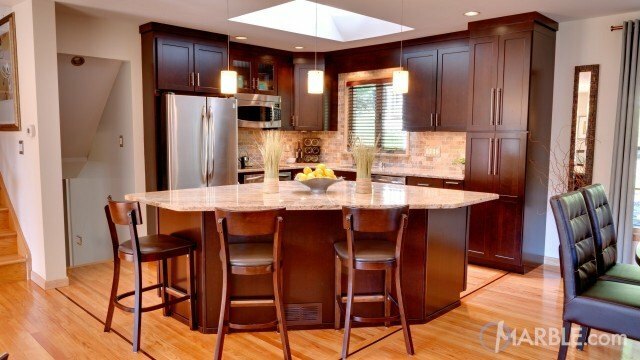 Dark cherry cabinets produce a warm and inviting vibe that is complimented by a mosaic backsplash.